In the early morning, two men driving on a golf course road in a Dallas suburb discovered two victims lying beside a car. Ron Whitehead, 21, had been shot in the head six times and his neck was cut four times. Bethena Brosz, 19, was shot twice in the head, once in the knee, and her throat was also cut. Whitehead was dead. Brosz was alive and given medical treatment, but died the next day. Woods admitted to police that he was with the victims the night before their bodies were found, stating that he and Marcus Rhodes had agreed to lead Whitehead and Brosz to a house nearby, but that their two vehicles became separated during the trip. Detectives then interviewed Rhodes, and after a search of his car revealed a backpack and personal items belonging to Whitehead and Brosz, Rhodes was arrested. The murder weapons were found at the home of Rhodes' parents. A latex glove carrying Woods' DNA was found in Rhodes' car after the killings. Woods left the Dallas area, traveling to New Orleans, Idaho and California, where he was finally arrested. Several witnesses testified that before the killings he told them about his plan to commit the murders, and after the killings, he told them about his participation in them. Witnesses testified at Woods' 2002 trial that he lured Whitehead to the isolated road on the pretense of a drug deal and killed him because he knew about another killing involving Woods two months earlier in California, athough Woods' was never charged in connection with this crime. Prosecutors said Brosz merely was at the wrong place at the wrong time and was killed because she was a witness to Whitehead's death. Accomplice Marcus Scott Rhodes was also charged with capital murder. He pleaded guilty and was sentenced to life in prison. Bacon; a large pizza with bacon, sausage, pepperoni and hamburger; fried chicken breasts; chicken fried steak; hamburgers with bacon on French toast; garlic bread sticks; Mountain Dew, Pepsi, root beer and sweet tea; and ice cream. "You're not about to witness an execution; you're about to witness a murder. I've never killed anybody, never. This whole thing is wrong ... Warden, if you're going to murder someone, go ahead and do it. Pull that trigger. Goodbye." Summary of incident: On 05/02/2001, in The Colony, Texas, Woods and a co-defendant used a 380 caliber pistol, a 45 caliber pistol, and a knife to kill a 21 year old white male victim by shooting the victim 6 times in the head and cutting his neck 4 times. A 19 year old white female victim was also killed by receiving 2 shots to the head, 1 shot in the knee, and cutting her throat. Woods and the co-defendant took property from the victims which included their car keys, backpacks, a cell phone and other personal items. AUSTIN – Pursuant to a court order by the 367th District Court in Denton County, Steven Michael Woods is scheduled for execution after 6 p.m. on September 13, 2011. In 2002, a Denton County jury found Woods guilty of murdering Ronald Patrick Whitehead and Bethena Lyn Brosz. Early in the morning of May 2, 2001, two golfers driving down Boyd Road at the Tribute Golf Course near The Colony, Texas, found the bodies of Ron Whitehead, 21, and Beth Brosz, 19. Both had been shot in the head and had their throats cut. Whitehead was dead; Brosz was still alive but after receiving medical care, she died the next day. That evening, police received several anonymous tips that Woods was involved in the killings, along with one Marcus Rhodes. Detectives interviewed Woods, who admitted to being with the victims the night before their bodies were found. He said that he and Rhodes had agreed to lead Whitehead and Brosz to a house in The Colony, but that their two vehicles became separated during the trip, so he and Rhodes returned to the Deep Ellum section of Dallas. Woods was not arrested as a result of his interview. Detectives then interviewed Rhodes, and after a search of his car revealed items belonging to Whitehead and Brosz, Rhodes was arrested. Woods left the Dallas area, traveling to New Orleans, Idaho and California, where he was finally arrested. Several witnesses testified that before the killings he told them about his plan to commit the murders, and after the killings, he told them about his participation in them. On April 18, 2002, a Denton County grand jury indicted Woods for murdering Ronald Patrick Whitehead and Bethena Lyn Brosz. Because Woods was charged with murdering two victims in the same criminal transaction, he was charged with capital murder. In August 2002, a Denton County jury found Woods guilty of murdering Ronald Patrick Whitehead and Bethena Lyn Brosz. After the jury recommended capital punishment, the court sentenced Woods to death by lethal injection. On December 15, 2004, the Texas Court of Criminal Appeals rejected Woods’s appeals and affirmed the defendant’s conviction and sentence. On May 23, 2005, the U.S. Supreme Court rejected Woods’s direct appeal when it denied his petition for writ of certiorari. After exhausting his direct appeals, Woods sought to appeal his conviction and sentence by seeking an application for a state write of habeas corpus with the Texas Court of Criminal Appeals. On November 2, 2005, the high court denied Woods’s application for state habeas relief. On September 6, 2006, Woods attempted to appeal his conviction and sentence in the federal district court for the Eastern District of Texas. The federal district court denied his application for a federal writ of habeas corpus on August 26, 2009. On October 25, 2010, the U.S. Court of Appeals for the Fifth Circuit rejected Woods’s appeal when it affirmed the federal district court’s order denying the defendant a federal writ of habeas corpus. On May 16, 2011, the U.S. Supreme Court rejected Woods’s appeal a second time when it denied his application for a writ of certiorari. On September 1, 2011, Woods filed a second – or successive – application seeking a state writ of habeas corpus from the state district court that adjudged him guilty of murder. On September 2, 2011, the Texas Court of Criminal Appeals denied Woods’s successive writ application. The high court also denied Woods’s motion to stay his execution. Under Texas law, the rules of evidence prevent certain prior criminal acts from being presented to a jury during the guilt-innocence phase of the trial. However, once a defendant is found guilty, jurors are presented information about the defendant’s prior criminal conduct during the second phase of the trial – which is when they determine the defendant’s punishment. During the penalty phase of Woods’s trial, jurors learned that Woods was involved in the murder of another victim in California less than two years before he murdered Whitehead and Brosz. Jurors were also informed that Woods, Rhodes, and two other accomplices planned to rob a clothing store in Deep Ellum. Jurors also learned that Woods may have planned to murder a woman who intended to purchase and resell illegal drugs. Steven Michael Woods Jr., 31, was executed by lethal injection on 13 September 2011 in Huntsville, Texas for the murder and robbery of two people. Early in the morning of 2 May 2001, two golfers driving on a golf course road in The Colony - a suburb on the north side of Dallas - discovered two victims lying beside a car. Ron Whitehead, 21, had been shot in the head six times and his neck was cut four times. Bethena Brosz, 19, was shot twice in the head, once in the knee, and her throat was also cut. Whitehead was dead. Brosz was alive and given medical treatment, but died the next day. The police received several anonymous tips that Woods, then 21, and Marcus Rhodes, 23, were involved in the killings. Detectives interviewed Woods, who admitted being with the victims the night before their bodies were found at Insomnia, a coffee shop in Dallas's Deep Ellum entertainment district. Woods said that he and Rhodes had agreed to lead Whitehead and Brosz to a house in The Colony, but that their two vehicles became separated during the trip, so he and Rhodes returned to Deep Ellum. Woods was not arrested as a result of this interview. Detectives then interviewed Rhodes.After a search of his car revealed car keys, a cell phone, backpacks, and other personal items belonging to Whitehead and Brosz, he was arrested. The .380-caliber and .45-caliber handguns used in the killings were found at his parents' home. His fingerprints were on both weapons. Whitehead was a known LSD dealer in West Ellum. Woods was also a drug dealer, and prosecutors described Rhodes as one of Woods' customers. At Woods' trial, witnesses testified that he lured Whitehead to the isolated area on the pretense of a deal. Police speculated that Woods and Rhodes killed him because his sales were cutting into Woods' own drug business. According to prosecutors, Brosz happened to be at the wrong place at the wrong time and was killed because she was a witness to Whitehead's murder. David Samuelson testified that he spoke with Rhodes at Insomnia on 1 May, the evening of the killings. Samuelson said Rhodes stated that "he had a job to do" for Woods that night, and he did not want to do it. Staci Schwartz testified that she spoke with Rhodes at Insomnia on 2 May. Rhodes told her that he and Woods used Brosz's credit cart to make an online purchase of tickets to an anime festival. Rhodes told Schwartz they bought the tickets in Samuelson's name and had them sent to his house in an attempt to make him appear responsible for the murders. Samuelson then testified that his credit card account had a denied charge in Brosz's name for anime festival tickets. Woods was connected to another murder involving Rhodes that took place about two months earlier. Beau Sanders, the manager of Insomnia, disappeared in March 2001. His body was eventually discovered in the desert southwest of Las Vegas. He was murdered with a .380-caliber handgun. In an interview with a detective from the San Bernardino County (California) Sheriff's Department, Woods stated that Sanders wanted to go to California and that he, Rhodes, Jeremy Stark, and Matthew Potts agreed to give him a ride. Woods said he knew that Rhodes and Stark planned to kill Sanders. Woods said his girlfriend convinced him not to go on the trip, but he lent the others his car instead. Rhodes provided the guns and was present when Stark and Potts shot Sanders. When they returned, they divided up Sanders' clothing, compact discs, and other personal items among themselves. Woods denied that he ordered a "hit" on Sanders. He said Sanders was his friend and he felt bad about what happened to him. He said he did not do anything to prevent the murder and did not go to the police because he was afraid of Rhodes and Stark. Other witnesses testified that Woods was more involved in Sanders' killing than he admitted. Michael Cavin testified Woods told him he was taking Sanders out to California to kill him, and that he would kill Cavin if he told anyone. Cavin was at Insomnia with the group on the night they left for California in Woods' car, while Woods stayed behind. A day or two later, Woods woke Cavin up at 3 a.m., pointed a 12-gague shotgun in his face, and asked him if he was going to tell anyone. Finally, Stephen Price testified that he encountered Woods in California, where he was hiding out after the murders of Whitehead and Brosz. Price said Woods told him he murdered Whitehead because he "was a threat to go to the police" about Sanders' murder. A jury convicted Woods of capital murder in August 2002 and sentenced him to death. The Texas Court of Criminal Appeals affirmed the conviction and sentence in December 2004. All of his subsequent appeals in state and federal court were denied. Marcus Scott Rhodes was also charged with capital murder. He pleaded guilty and was sentenced to life in prison. He remains in custody as of this writing. In interviews and writings from death row, Woods admitted that he was present when Whitehead and Brosz were killed, but he said Rhodes acted alone. He said he and Rhodes were both high on LSD on the night of the killings. As he was lighting a cigarette for Whitehead, Rhodes shot him in the head, then shot Brosz. On a web site maintained by his friends and family, Woods claimed he was wrongfully convicted and that Rhodes was the "real murderer" of Whitehead and Brosz. "I was set up to take the blame for this crime, so that a rich, well-connected family would not have to deal with negative media and the burdens that come with death row," he wrote. When a reporter asked Woods about the witnesses who testified to hearing him planning to kill Whitehead and later bragging about it, he answered, "No possible way." "You're not about to witness an execution; you're about to witness a murder," Woods said from the execution chamber. "I've never killed anybody, never. This whole thing is wrong ... Warden, if you're going to murder someone, go ahead and do it. Pull that trigger." The lethal injection was then started. Woods said he could feel the drug working, then said "Goodbye." 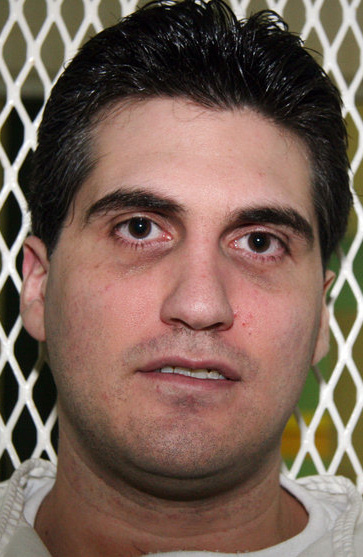 He was pronounced dead at 6:22 p.m.
AUSTIN Tex (Reuters) - Texas on Tuesday executed a man who was convicted for his involvement in the slayings of two people in north Texas, even though an alleged accomplice admitted to the killings. Steven Michael Woods, 31, was convicted in the shooting and slashing of a young Dallas-area couple under a controversial Texas law that allows a defendant to be put to death for a murder someone else committed. Woods was given a lethal injection of drugs and pronounced dead at 6:22 p.m. local time, said Michelle Lyons, a Texas Department of Criminal Justice spokeswoman. In his last words, Woods told his mother he loved her, accused the state of committing a murder, and named his co-defendant, Marcus Rhodes, who pleaded guilty to murdering the couple and is serving a life sentence. "You're not about to witness an execution. You are about to witness a murder. I am strapped down for something Marcus Rhodes did. I never killed nobody, ever," he said. "Justice has let me down. Somebody completely screwed this up. Well, Warden, if you're going to murder someone, go ahead and do it. Pull that trigger." For his last meal, Woods requested bacon; a large pizza with bacon, sausage, pepperoni and hamburger; fried chicken breasts; chicken fried steak; hamburgers with bacon on French toast; garlic bread sticks; Mountain Dew, Pepsi, root beer and sweet tea; and ice cream, Clark said. His was the 10th execution in Texas this year and the 33rd in the country. Woods was convicted of capital murder in 2002 after a jury found him guilty in the slayings of Ronald Whitehead, 21, and Bethena Brosz, 19, in The Colony, Texas, just outside Dallas. When passersby found their bodies, they had both been shot in the head and their throats cut, according to a report by Texas Attorney General Greg Abbott's office. Woods told police that he and a friend were with the victims the night before they were found, hanging out in the Deep Ellum entertainment district in Dallas, and had agreed to take them to a house in the Colony, the report said. Their cars became separated, and Woods and his friend, Marcus Rhodes, went back to Deep Ellum, Woods told police, according to the report. The victims' belongings were later discovered in Rhodes' car, and Rhodes was arrested, the report said. Woods fled the area and was later arrested in California. Witnesses told police that Woods had bragged about killing the pair and said before their deaths that he planned to kill them, according to the report. Rhodes pleaded guilty to killing the two, but Woods has maintained his innocence during his trial, in online posts and in media interviews. On a Facebook page maintained by supporters, Woods said he was present for the killings but did not know they were going to happen and fled because he feared Rhodes would kill him, too. But the jury, apparently convinced of his involvement on some level, was able to convict him using the state's law of parties, an attorney general spokesman said. The law allows a jury to find a defendant guilty of murder if they were involved in the crime, even if they did not directly commit the killing, or were involved in crimes that lead to the killing, or if they should have known the crime would happen and showed a "reckless disregard" for human life. Woods maintains that all he did was witnesses a horrible crime, and then run for his life, but that the law he has called "barbaric" in web postings punished him for a crime he did not commit. Witnesses who said he told them he had killed the pair were lying, he has said. "Imagine waking up every day in a hot humid cell, knowing that you didn't do anything to find yourself there," reads his posting on a Facebook page. "Knowing that so many people know that they got the wrong person, but no one wants to waste their time fighting for you." Death penalty advocates argued that people who help plan murders, or who are involved in actions leading up to it, are just as guilty as those who pull the trigger. "We hold people responsible for being conspirators or assisting even in good acts," said Dudley Sharp, a victims-rights advocate in Houston. "We are not treating murderers any different than we would by giving a Nobel Prize to someone who began research 40 years ago even though they didn't make the breakthrough." During the penalty phase of the trial, jurors were told that Woods was involved in the homicide of another victim in California before the killings of Brosz and Whitehead, something Woods denies in online postings. Texas has the country's most active death row, executing more than four times as many people as any other state since the death penalty was reinstated in the United States in 1976, according to the Death Penalty Information Center. A second execution is scheduled in Texas for Thursday. Duane Buck was convicted in 1997 for the shooting deaths of two people in Harris County. Two more are planned for next week. HUNTSVILLE — Former drug dealer Steven Michael Woods proclaimed his innocence up until the end. The 31-year-old who was convicted of the 2001 murders of Ronald Whitehead, 21, and Bethena Brosz, 19, blamed the killings on his friend Marcus Rhodes as he waited for the lethal injection to be carried out Tuesday at the Huntsville Unit. Woods admitted he was present at the time of the murders, which took place in Denton County in May 2001, but Rhodes was the one who pulled the trigger and cut each of the victims throats. Woods went to trial first and was found guilty and sentenced to death by a jury. Rhodes later pled guilty and received life in prison. “You’re not about to witness an execution, you are about to witness a murder,” Woods said. “I am strapped down for something Marcus Rhodes did. I never killed nobody. ... I can’t believe you are going to let Marcus Rhodes walk around free. Justice has let me down.” The lethal dose began flowing through Woods’s body at 6:12 p.m. Tuesday and 10 minutes later he was pronounced dead. Witnesses testified at Woods’ 2002 trial that he lured Whitehead to the isolated road on the pretense of a drug deal and killed him because he knew about another killing involving Woods two months earlier in California. Prosecutors said Brosz merely was at the wrong place at the wrong time and was killed because she was a witness to Whitehead’s death. HUNTSVILLE -- A self-described junkie who sold LSD and other drugs in Deep Ellum in Dallas was executed Tuesday evening for killing two people along a golf course road in The Colony in Denton County in 2001. Steven Michael Woods, 31, acknowledged that he was present in May 2001 when Ronald Whitehead, 21, and Bethena Brosz, 19, were fatally shot and had their throats slashed but insisted that he was not involved and blamed the murders on his friend, Marcus Rhodes. "You're not about to witness an execution, you're about to witness a murder. ... I've never killed anybody, never," Woods said from the gurney in the death chamber. "This whole thing is wrong. "Warden, if you're going to murder someone, go ahead and do it. Pull that trigger." A needle carrying the lethal drugs into his right arm pierced a green tattoo of a rose branch. The distinctive tattoo had identified him when he was arrested. Woods was pronounced dead at 6:22 p.m.
"This has been a long road, and a hard one," Janet Shires, Brosz's mother, said Tuesday after watching Woods die. "We will miss her forever, of course. There is no sentence that would change that. But I feel such a profound relief today -- relief that he can never hurt anyone anywhere ever again." About eight hours earlier, the U.S. Supreme Court rejected an appeal from his attorneys, clearing the way for the 10th execution in Texas this year. Woods had argued that his legal counsel early in the appeals process was deficient and kept him from raising a claim of jury bias from his trial. The justices, without comment, turned him down. Brosz and Whitehead, were found by golfers May 2, 2001, along a golf course road near The Colony. Whitehead was shot six times in the head. Brosz was shot twice in the head and once in the knee. Both had their throats cut. Brosz was alive when she was found but died the next day. Authorities said Woods had been supplying drug dealers with liquid LSD and other drugs sold at clubs and parties in Deep Ellum, the entertainment district near downtown Dallas. Denton County prosecutor Michael Moore said Woods, Rhodes and Whitehead knew one another from a coffee bar in Deep Ellum. Brosz, a Denton native and student at the University of North Texas, had met Whitehead a few weeks before at a job. The night before the killings, the four were together at a Dallas nightclub and were seen leaving together about 2 a.m. Woods and Rhodes returned alone two hours later. Witnesses testified at Woods' 2002 trial that he lured Whitehead to the isolated road on the pretense of a drug deal and killed him because he knew about another killing involving Woods two months earlier in California. Prosecutors said Brosz was merely at the wrong place at the wrong time and was killed because she was a witness to Whitehead's death. Last week Moore recalled, "Woods almost immediately began bragging about committing the murder. He was wearing one of Ron's baseball caps as a trophy and started talking to people about trying to get out of town, where he was going, bragging about it all along the way." Authorities recovered backpacks belonging to the slain pair in Rhodes' car. Guns used in the slayings were recovered from the home of Rhodes' parents. Prosecutors said a latex glove carrying Woods' DNA was found in Rhodes' car after the killings. When Rhodes surrendered to police three days after the killings, Woods hit the road. He was arrested in Garberville, Calif., about 200 miles north of San Francisco, about two months later. Steven Michael Woods and Marcus Rhodes shot Ronald Whitehead and Bethena Brosz in a secluded area in The Colony, Texas, in the early morning hours of May 2, 2001. Early in the morning of May 2, 2001, two golfers driving down Boyd Road at the Tribute Golf Course near The Colony, Texas, found the bodies of Ron Whitehead and Beth Brosz. Beth was shot in the right knee, her throat was slashed three times, her shoulder was sliced and she had been shot in the head twice. Ron Whitehead was dead when emergency personnel arrived on the scene at 6:55 am and was shot in the head 6 times, and his throat was cut. Beth died about 24 hours after she was taken to the hospital. That evening, police received several anonymous tips that Woods was involved in the killings, along with Marcus Rhodes. Detectives interviewed Woods, who admitted to being with the victims the night before their bodies were found. He said that he and Rhodes had agreed to lead Ron and Beth to a house in The Colony owned by someone named "Hippy," but that their two vehicles became separated during the trip, so he and Rhodes returned to the Deep Ellum section of Dallas. Woods was not arrested as a result of his interview. Detectives then interviewed Rhodes, and after a search of his car revealed items belonging to Ron and Beth, Rhodes was arrested. Woods left the Dallas area, traveling to New Orleans, Idaho and California, where he was finally arrested. Several witnesses testified that before the killings he told them about his plan to commit the murders, and after the killings, he told them about his participation in them. Woods, Rhodes, Ron Whitehead, David Samuelson, and Staci Schwartz all knew each other from Insomnia, a coffee shop they frequented in downtown Dallas. Samuelson testified that he had talked to Rhodes at Insomnia on the evening of May 1, and Rhodes stated that “he had a job to do” for Woods that night and that he did not want to do it. Schwartz testified that she had had a conversation with Rhodes at Insomnia on the afternoon of May 2, during which Rhodes stated that he and Woods had used Beth's credit card to make an online purchase of tickets to an anime festival. Rhodes told Schwartz that they had attempted to make Samuelson look responsible for the murders by buying the tickets in his name and having them sent to his house. On April 18, 2002, Woods was indicted for capital murder for the killing of more than one individual in the same criminal transaction, for which he was found guilty by a Denton County jury. During a separate punishment hearing, the State, in addition to evidence about the circumstances of the crime and Woods's moral culpability, presented evidence that Woods was involved in the murder of another individual in California one-and-a-half months prior to the murders of Ron Whitehead and Beth Brosz; that Woods got into a fight with another inmate in the Denton County Jail; that Woods, Rhodes, and two other accomplices planned to rob a clothing store in Deep Ellum; that Woods may have planned to murder a woman who was coming to pick up vials of "acid" to sell; and that Woods made "bottle bombs" as a juvenile. The jury found beyond a reasonable doubt that (1) there was a probability that Woods was a continuing threat to society; (2) Woods actually caused the death of the victims, intended to kill the victims, or anticipated that the lives of victims would be taken; (3) there was no sufficient mitigating circumstance to warrant a sentence of less than death after taking into consideration the circumstances of the crime and the evidence of Woods's character, background, and personal moral culpability. In accordance with state law, the trial judge sentenced Woods to death. I am writing in response I got recently, well semi-recently, to ask for some help and guidance. My name is Steven Woods, and I have been on Texas Death Row for about a year and a half. I am getting really tired of the poor treatment we receive and the conditions in which we are forced to live. I am not content to just sit idle and let the state of Texas and the TDCJ administation oppress me. I want to change our situation, but I don't know what to do or where to turn for help. I really don't know too much about TDCJ, the Death Penalty, how the administation works and thinks, or how the rules/policies are formed.I have kept myself oblivious to everything in an attempt to deal with the state of my life and in doing so, have wasted so much time that could have been spent learning how to better it. I have spent the majority of my life fighting, rebelling against the "System" however I could. In here, I should be doing no different. I have tried going to other inmates for help, but sadly, most are content or just sitting passively and accepting their fate. They offer no advice but to sit on my bunk and wait to die. I know there is little, if anything, that I can do. All I know is that I have to get people involved. How do I do this, who do I write, and what do I ask them to do? These are three main problems. What can we do/ We want to get those on Death Row the same privileges that every non-death row TDCJ inmate enjoy, should they behave themselves. I would be greatful for any help you can give. Mainly advice and information. Thanks for being there for us. We need it. The world would truly be a dark place if it wasn't for people like you. In hope and sincere respect, Steve Woods 999427 "A brief introduction of myself." My name is Steven Woods, a 23 year old inmate on Texas Death Row. How I got here is a long story that I may tell at some other time. I don't like to talk about myself too much, at least, I'm not too good at it, so this introduction will probably lack substance. I am an Anarchist, in the pure sense of the word. I believe that we should live our lives as we see fit, by our own moral judgement and with our own sense of good and evil, right or wrong. We, as a single person, or in society as a whole, should not expect, demand, that other should live by a set of principles determined by a person, a conglomerate of persons, or a divine entity. We were given free will, and we should use it. This is Anarchy, not the senseless distruction, violence, and lawlessness that the government, the media, and the entertainment industry show you. And this is how I lived my life. I'm not sure that I believe in a God, so much as I believe there is some force in the universe. If I were to subject myself to labeling my beliefs or aligning them with any religious ideology, it would be Taoism. I believe in Balance, and Chaos is as much a part of it as Order, therefore both are sacred. I enjoy all types of music, although my favorites are punk rock, classic rock, and big band jazz. Most of my freedom I hung out with the "alternative " crowd. A bunch of punk rockers and hippies. People who acted on the same principles as I did. I am from Michigan, but I spent most of my "adult" years traveling around the US. The West Coast is to me, the best place in the country. I didn't really like Texas, but it looks like I'm going to spend the remainder of my time here. I would like people to write to establish friendships. What I'm more concerned with, though, is trying to better our situation here on Death Row. I'm in desperate need of information and advice. I just wanted to share some things I’ve thinking about lately, and give you a look inside my mind. I am a collector of quotes and catch-phrases. If something I read or hear jumps out at me, I write it down. I can find a quote for just about any occasion. I read a book recently, by someone I think to be a genius; Paulo Coelho. In the book was the line, “What the eyes don’t see, the heart doesn’t grieve over.” What do you think? So many people here in america (notice I use a lower case a-I have no respect for my country) actually think the death penalty is a good idea. most of my countrypersons will say, “Yeah, I’m for the death penalty” and not give it a second thought. The government says it’s right, so it’s right. The government says it’s humane, so it’s humane. If people took a look at what happens to us while we await justice, things would be different. They would be saying, “save the environment”, “save the whales”,” Save the sanity of a death row inmate!” I think that maybe they would start caring about us and our fate, and act to help us find some measure of comfort. After all, we are-for the time being-living breathing human beings. The problem lies in actually making them see, feel, and know what our lives have been reduced to. For instance, does society know, that here on Texas Death Row, we are allowed NO FORM of human contact, other than when the guard or doctor has us out of our cells? We are kept on 23 hour lockdown, isolated from most other inmates in a 6 by 9 cell. Do they know what it is like to be cut off from positive human contact, and knowing that it will be like that for the rest of our lives? I am going to die without ever being able to hug my mother, without ever being allowed to even touch her hand, her and the rest of my loved ones. Could you imagine what it feels like? For the rest of my life I will be deprived of everything that is required for a person to maintain any semblance of mental health. Another person controls almost every aspect of my life, and I can do nothing when they decide how they want me to live it. There is no way that this web-page could hold a full treatise of the conditions of Death row, so I will leave off right there, and go onto a different line of thought. Feel free to contact me for a continuation of my rant about the conditions. Do you want to know what I was thinking about when the judge read me my sentence? As I was standing there, showing no emotion (as the newspapers claimed) i was thinking about my cat. Of all the things in my head that could have surfaced at that particular moment when I was being condemned, I was wondering if my cat was OK. I imagine that my cat-her name is Koshka(it’s Russian for cat, as I am not very creative) is doing rather well. Last I knew, Koshka was living with a priest. (my ex-fiance’s father is an Episcopal priest-I was staying with him before I got locked up) . I would try to tell you how I got here, but I’m not sure how myself. I’m not a violent person. I can count on one hand how many fights I’ve been in. I’m rather timid actually, and my biggest fear is confrontation. That might be hard to believe, given my Mohawk hair-style and my punk rock lifestyle, but it’s true. I sometimes have a tendency to lean toward chaos is the disruption (NOT destruction-please note that) of the natural order of things. I like to cause problems, make people think, different to society’s day to day life. But the problems I cause are just harmless pranks, and I am never violent. I am the person who shouts “Freebird” in church when the Minister first approaches the pulpit. (Yeah, I know-for a person so afraid of confrontation, I sure put myself out there. We overcome our fears, though, when we face our fears.) I’ve never actually done that, but now you understand my little piece of chaos. Yes, that is correct, I said I was innocent. Everyone on death row (most everyone) claims to be innocent, but I really am. This is the first time I have ever been in jail or prison, and I can’t say I’ve enjoyed the experience! That doesn’t mean that I’ve never committed any crimes, however. I spent a lot of time doing and selling drugs. I think the biggest mistake I ever made was getting involved with cocaine and heroin. The first time I prepared the needle for my fix, I knew, I KNEW my life would never be the same. I knew I was crossing over the line, and yet I put the needle in my arm, and said, ”Good Bye, Friend, times were oft good, but it’s a whole new world now.” I knew what the drug would do to me, I knew what it would turn me into, And I actually processed that information in my head before I shot the drug up. I knew what a depraved being the drug would turn me into, you see, before I used any new substance, I studied it to find out exactly what it was. I had all the facts and made a conscious decision to through away my life as I know it. And why? Was my life so bad that the only way I could survive was to make it worse? Do I regret it? Would I do it the same way if I were sent back to that moment when I was sitting in a trashed out apartment in Detroit holding a syringe loaded with “The New Life”? I will answer these questions in order: The reason, initially, that I made the decision that I made was that I just didn’t care anymore. I WANTED to experience the life of a heroin junkie. I thought that the only way to redeem myself was to crawl to the bottom of the hole so that I could fall no lower. I believed that, by inflicting on myself the harshest possible life, no one could do anything to hurt me anymore or take any more from me. A heroin junkie-a true junkie in the depths of his addiction-is to me, a soulless being. An unthinking, unfeeling wretch that has nothing to offer and no where to go. When I ask myself if I regret that path, I find it very hard to answer. I would like to say yes, I do-but that wouldn’t be honest. The only way a person learns anything from life is from experiences. I do not have the words to describe the hells that I went through to finally be able to re-join the human race, and start caring again, but everything I went through made me the person I am today. I do not like the person I was before then, but I do like who I am now. Without the experiences that i had, I would be a different person, and since I actually learned, benefited,(I know that sounds weird coming from death row, but bear with me)from the torments of my addiction. So no, I really don’t regret it. If I had it all to do again, I would like to say I’d do it differently. That, however, is an impossible question to answer. If I went back to that moment that destroyed my life, I would still be feeling what I felt. I would still be where I was at. And I would not know what the future would hold. I hope, however, that you do not think that I am in any way endorsing that way of life. I’m not. I know, NOW, that those drugs are not a solution to any problem or situation. I have an odd outlook on life. I see things differently than most people, and I did what I thought would be the best for me. So, I was wrong, even if i don’t regret it. If I could help anyone to benefit from the things I learned on the paths I chose, if you know of any websites that discuss issues dealing with drugs-how to avoid them, how they work, and what they turn you into, please send me their address so that I can offer my advice. This is a sincere request. The only reward I’m after is the knowledge that I helped someone-that my life means something to other people. It was really hard for me to open up as much as I did in these pages. These things I haven’t told my family, or my closest friend. I find it easier to write these things to a total stranger (or in this case, a lot of total strangers) than to people I know and love. I hope, Mom, Sarah, that reading these things on the internet, and not in a letter from me, doesn’t upset you. I trust you completely, but it’s easier for me this way. You know my heart is always with you all. If you took time, readers, to get this far, thank you. Once I got going it was hard to stop. I will add more to my story here sometime later, or you could write to me, if you’re interested. Looking out over an auditorium filled with sixth graders Steven Woods Sr. became emotional at times. His voice cracked and his eyes misted as he delivered his message, "Drugs Kill." Though Woods has struggled with his own addiction and is nearing one year of sobriety, it wasn't his own past he spoke about, but rather that of his son, Steven Woods Jr., who is currently housed in a maximum security prison in Texas. "Greetings from death row" began the first in a series of letters Woods received from his son since his conviction last August for his role in a drug-related double homicide in Texas in which a 21-year-old man and a 19-year-old woman were slain. "I had always expected that my son would probably be found dead because I had known about his drug abuse," said Woods, who even now, after facing every parent's worst nightmare, refuses to give up on his child. Now, a grieving father is fighting for his son's life in hopes that an appeal will be granted overturning the murder conviction and struggling to make amends for what he says may have set his son on a collision course with disaster. "I believe my lifestyle was imprinted in his head," said Woods, who admits to abusing both drugs and alcohol throughout his son's childhood and says Steven frequently witnessed violent encounters between he and his ex-wife who now resides in Michigan. It wasn't long before Steven "fell into the wrong crowd" and began using marijuana when he was 13 or 14-years-old. From there the drug of choice progressed, said his father, to cocaine and heroin. Heavily involved in the punk rock scene, Steven quit school at age 16, eventually becoming a drug dealer and a transient. "His life revolved around drugs," said Woods of his son, now 22 and currently incarcerated in the death row unit of a prison in Livingston, Texas. Steven, who maintains his innocence, spends 23 hours a day in lockdown in a 6 x 9 cell as he awaits execution by lethal injection. According to information provided by the Texas Corrections System, the average length of time spent on death row is 10.58 years. Believing his son is guilty of both being an addict and of using poor judgment, but not murder, Woods said he knows his son deserves to be punished for his role in The Colony murders. However, he believes the death penalty is too severe. "He was there as an accomplice, but he wasn't the trigger man," insists Woods. "Only five people know what happened that night," he said, "the two that were there, the two who were killed and God." Another man, Marcus Scott Rhodes, 23, was also prosecuted for the murders after police found items belonging to the victims in the trunk of his Mercedes, according to an article in the Dallas News. Rhodes later plea bargained and was sentenced to life in prison instead of the death penalty despite the fact that two guns believed to be used in the killings were discovered in his room at his parents' home, alleges a separate article in the Dallas News. "I pray for my son and the families of the victims every day," said Woods, who believes his son was failed by the system, his lawyer and perhaps even his own father. Unsure if he can save Steven, Woods hopes to spare others from repeating his family's tragic mistakes by telling the story of how drugs derailed four young lives. He said he will continue to petition the courts to hear an appeal. "I'll fight to my last breath to keep him alive," said Woods, blinking back tears. Background: Defendant was convicted in the District Court, Denton County, Lee Gabriel, J., of capital murder and was sentenced to death. Defendant appealed. Holdings: The Court of Criminal Appeals, Price, J., held that: (1) defense counsel's commitment question to venire member was proper; (2) trial court's denial of defense counsel's proper commitment question did not have a substantial or injurious effect or influence in determining the jury's verdict; (3) defense counsel's voir dire questions regarding whether jurors could be fair and impartial where the victims were under 25 years of age constituted global fishing expeditions; (4) defendant was not entitled to impeach State's witness during cross-examination with evidence that, at time of trial, witness was serving a sentence for aggravated assault; (5) co-defendant's out-of-court statements to acquaintances were admissible under hearsay exception for statements against interest; (6) admission of the statements did not violate the Confrontation Clause; (7) audio-taped statement that defendant gave to detective regarding his involvement in an uncharged offense was inadmissible during the punishment phase; (8) erroneous admission of the audio-taped statement amounted to non-constitutional error; and (9) application of the Texas death-penalty statute was not unconstitutional. Affirmed. Womack, J., filed a dissenting opinion. PRICE, J., delivered the opinion of the Court, in which KELLER, P.J., MEYERS, JOHNSON, KEASLER, HERVEY, HOLCOMB, and COCHRAN, JJ., joined. In August 2002, a Denton County jury convicted the appellant, Steven Michael Woods, of killing Ronald Whitehead and Bethena Brosz.FN1 Pursuant to the jury's answers to the special issues set forth in Texas Code of Criminal Procedure Article 37.071, §§ 2(b) and 2(e), the trial court sentenced the appellant to death.FN2 Direct appeal to this Court is automatic.FN3 The appellant raises seventeen points of error challenging his conviction and sentence. We will affirm. FN1. Tex. Pen.Code § 19.03(a). FN2. Tex.Code Crim. Proc. art. 37.071, § 2(g). FN3. Id., at § 2(h). In points of error fifteen, sixteen, and seventeen, the appellant argues that the trial court improperly restricted his questioning of prospective jurors during voir dire. He contends that, as a result, he was unable to intelligently exercise peremptory challenges and challenges for cause. FN4. Sells v. State, 121 S.W.3d 748, 755–56 (Tex.Crim.App. ), cert. denied, 540 U.S. 986, 124 S.Ct. 511, 157 L.Ed.2d 378 (2003); Barajas v. State, 93 S.W.3d 36, 38–39 (Tex.Crim.App.2002). FN5. Ibid. FN6. Ibid. FN7. Ibid. FN8. Ibid. ; Standefer v. State, 59 S.W.3d 177, 181 (Tex.Crim.App.2001). FN9. Sells, 121 S.W.3d at 756; Barajas, 93 S.W.3d at 39. The appellant asserts in point of error fifteen that the trial court improperly limited his voir dire questioning of venire member Kerri Denise Wyrick during the following exchange: Q. And it mentions on there if you find sufficient mitigating circumstance or circumstances to warrant that a sentence of life imprisonment rather than a death sentence be imposed. It says “sufficient mitigating circumstance or circumstances.” So do you understand that to mean that even one mitigating circumstance, if it's sufficient, is enough to award a life penalty instead of a death penalty? A. I understand. Q. Could you do that even if you'd already found a defendant guilty beyond a reasonable doubt of committing a capital murder, you'd found special issue number 1, that the State proved that beyond a reasonable doubt, that you found on special issue number 2 that the State proved that beyond a reasonable doubt? If the State did all that, could you still support and vote for a life punishment if you found a sufficient mitigating circumstance? [PROSECUTOR]: I object to contracting. THE COURT: Sustained, the way it's phrased. Q. Would you be able to follow the law as to special issue number 3 if you found even one sufficient mitigating circumstance? A. Yes. Defense counsel did not exercise a challenge for cause or a peremptory challenge against Wyrick, and she was seated on the jury. The appellant argues that the question was proper because it sought to discover Wyrick's views on an issue applicable to the case, that is, whether she could fairly consider the mitigation special issue even if the jury had already answered yes to the future dangerousness and anti-parties special issues.FN10 The trial court sustained the State's objection that it was an improper commitment question.FN11 A commitment question can be proper or improper, depending on whether the question leads to a valid challenge for cause.FN12 For a commitment question to be proper, one of the possible answers to that question must give rise to a valid challenge for cause. FN13 If Wyrick had answered the question “no,” then she would have been challengeable for cause.FN14 Thus, the trial court erred in refusing to allow the question to be asked. FN10. Tex.Code Crim. Proc. art. 37.071, § 2(e)(1). FN11. We understand the prosecutor's “contracting” objection to mean that the question improperly attempted to commit Wyrick to a particular verdict based on particular facts. FN12. Lydia v. State, 109 S.W.3d 495, 498 (Tex.Crim.App.2003) (citing Standefer, 59 S.W.3d at 181). FN13. Standefer, 59 S.W.3d at 182. FN14. Tex.Code Crim. Proc. art. 35.16(c)(2). (providing that the defense may challenge a venireperson for cause if “he has a bias or prejudice against any of the law applicable to the case upon which the defense is entitled to rely, either as a defense to some phase of the offense for which the defendant is being prosecuted or as a mitigation thereof or of the punishment therefor”). FN15. Tex. R App. P. 44.2(b); see Jones v. State, 982 S.W.2d 386, 391–94 (Tex.Crim.App.1998) (holding question of harm in voir dire context addressed under Rule 44.2(b)). FN16. King v. State, 953 S.W.2d 266, 271 (Tex.Crim.App.1997). The trial court's denial of a proper question in this case did not have a substantial or injurious effect or influence in determining the jury's verdict because defense counsel was able to ask Wyrick essentially the same question. After the trial court sustained the State's objection, defense counsel immediately asked her, “Would you be able to follow the law as to special issue number 3 if you found even one sufficient mitigating circumstance?” and she replied, “Yes.” Point of error fifteen is overruled. The appellant complains in point of error sixteen that the trial court prevented him from asking venire member Michael Rudolf Ziegler the following question: “Could you be fair and impartial in a murder case where the people killed were under 25 years of age?” The prosecutor objected that the question was “contracting,” and the trial court sustained the objection. Defense counsel exercised a peremptory strike against Ziegler. The appellant similarly asserts in point of error seventeen that the trial court improperly limited his voir dire questioning of venire member Jerry Linsley during the following exchange: Q. Can you be impartial in this case if the victims were young? [PROSECUTOR]: Objection, contracting. THE COURT: Sustained. Q. Can you consider the life penalty where the victims were young? [PROSECUTOR]: Objection, contracting. He's trying to get him to commit to a certain set of facts, being that the victims were young. THE COURT: Sustained. Q. Can you be impartial if one of the victims is a young woman? [PROSECUTOR]: Objection. Contracting again. THE COURT: Sustained. Q. Can you consider the life penalty if a victim was a young woman? [PROSECUTOR]: Objection. Contracting. THE COURT: Sustained. Defense counsel then said that he wanted to ask the same four questions of every venire member. He asked the trial court for a running objection with regard to all subsequent jurors. The trial court replied: “Well, I've sustained the objection on this juror, and if the exact same question were asked of subsequent jurors, the Court's ruling would be the same.” Defense counsel did not exercise a challenge for cause or a peremptory strike against Linsley, and he was seated on the jury. The questions that the appellant sought to ask Ziegler, Linsley, and the other venire members in this case are similar to the questions that we held to be improper in Barajas v. State.FN17 In Barajas, defense counsel desired to ask whether venire members could be impartial in an indecency case involving a victim who was eight to ten years old or, in the alternative, a victim who was nine years old.FN18 Defense counsel also sought to ask whether venire members could consider probation in a case involving a victim who was eight to ten years old.FN19 We held in Barajas that these questions constituted global fishing expeditions and the trial court was within its discretion to prevent defense counsel from asking them. FN20 The trial court did not abuse its discretion in preventing a similar fishing expedition in the instant case. Points of error sixteen and seventeen are overruled. FN17. 93 S.W.3d 36 (Tex.Crim.App.2002). FN18. Id., at 38. FN19. Ibid. FN20. Id., at 41–42. THE COURT: Is it your position that you intend to try to ask those questions in front of the jury? [DEFENSE COUNSEL]: It is, Judge. THE COURT: Is there an objection from the State? [PROSECUTOR]: We object, Your Honor. Irrelevant, improper impeachment under 609, and there are no offers or agreements in exchange for his testimony. THE COURT: I'm going to sustain the objection. The record has been made. [DEFENSE COUNSEL]: Yes, ma'am. The appellant argues on appeal that the limitation on his cross-examination of Young violated his rights under the Confrontation Clause of the Sixth Amendment and Rule 613(b) of the Texas Rules of Evidence. The proponent of evidence to show bias must show that the evidence is relevant. The proponent does this by demonstrating that a nexus, or logical connection, exists between the witness's testimony and the witness's potential motive to testify in favor of the other party.FN21 We have found a nexus when a witness has been indicted or is serving a period of community supervision.FN22 In such cases, the witness is placed in a vulnerable position and may have a motive to testify in favor of the State. FN21. Carpenter v. State, 979 S.W.2d 633, 634 (Tex.Crim.App.1998). FN22. Maxwell v. State, 48 S.W.3d 196, 199 (Tex.Crim.App.2001) ( “Evidence that a witness whom the State calls is subject to a criminal charge, or is on probation, can be used to show the bias or interest of the witness in helping the State”) (quoting Moreno v. State, 22 S.W.3d 482, 485–86 (Tex.Crim.App.1999)). In this case, the appellant asked Young if he expected favorable treatment or good time in exchange for his testimony. Young said that he was ineligible for good time and that he had no idea about other potential favorable treatment. And, in fact, Young was ineligible for good time. FN23 There was no indication that Young had the expectation that he would be rewarded for testimony favorable to the State or punished for testimony that was unfavorable to the State. The appellant's offer of proof did not establish a nexus between Young's testimony and his prison sentence. FN23. See Tex. Gov't Code § 508.145(d) (“An inmate serving a sentence for an offense described by Section 3g(a)(1)(A), (C), (D), (E), (F), (G), or (H), Article 42.12, Code of Criminal Procedure, or for an offense for which the judgment contains an affirmative finding under Section 3g(a)(2) of that article, is not eligible for release on parole until the inmate's actual calendar time served, without consideration of good conduct time, equals one-half of the sentence or 30 calendar years, whichever is less, but in no event is the inmate eligible for release on parole in less than two calendar years”). Points of error seven and eight are overruled. In points of error nine, ten, eleven, and twelve, the appellant argues that the trial court erred in admitting the testimony of David Samuelson and Staci Schwartz. The appellant specifically complains that these two witnesses improperly testified about statements made to them by the appellant's co-defendant, Marcus Rhodes. The appellant argues that the trial court improperly admitted this evidence under the “statement against interest” exception to the hearsay rule in Texas Rule of Evidence 803(24). He also asserts that the admission of this evidence violated his rights under the Sixth Amendment's Confrontation Clause. The State presented evidence that the appellant and Rhodes shot Ronald Whitehead and Bethena Brosz in a secluded area in The Colony, Texas, in the early morning hours of May 2, 2001.FN24 The appellant, Rhodes, Whitehead, Samuelson, and Schwartz all knew each other from Insomnia, a coffee shop they frequented in downtown Dallas. Samuelson testified that he had talked to Rhodes at Insomnia on the evening of May 1, and Rhodes stated that “he had a job to do” for the appellant that night and that he did not want to do it. Schwartz testified that she had had a conversation with Rhodes at Insomnia on the afternoon of May 2, during which Rhodes stated that he and the appellant had used Brosz's credit card to make an online purchase of tickets to an anime festival. Rhodes told Schwartz that they had attempted to make Samuelson look responsible for the murders by buying the tickets in his name and having them sent to his house. FN24. Whitehead was dead when emergency personnel arrived at the scene at 6:55 a.m. Brosz died about twenty-four hours after she was taken to the hospital. FN25. Dewberry v. State, 4 S.W.3d 735, 751 (Tex.Crim.App.1999). FN26. Ibid. (citing Davis v. State, 872 S.W.2d 743, 749 (Tex.Crim.App.1994)). A number of factors are relevant to this inquiry: (1) whether the guilt of the declarant is inconsistent with the guilt of the defendant; (2) whether the declarant was so situated that he might have committed the crime; (3) the timing of the declaration; (4) the spontaneity of the declaration; (5) the relationship between the declarant and the party to whom the statement was made; and (6) the existence of independent corroborative facts.FN27 The first two factors, as the Austin Court of Appeals has noted, logically apply only when the defendant is the proponent of the statement against interest that tends to exculpate the defendant.FN28 When the statement is offered by the State to inculpate the defendant, as in the case before us, the first two factors are not relevant. FN27. Davis, 872 S.W.2d at 749. FN28. See Drone v. State, 906 S.W.2d 608, 613 (Tex.App.-Austin 1995, pet. ref'd). Rhodes spontaneously made the statements to Samuelson and Schwartz, his acquaintances from Insomnia who knew Whitehead but were not connected to the commission of the murders. He made the statement to Samuelson prior to the commission of the murders. He made the statement to Schwartz not long after the commission of the murders. These were “street corner” statements that Rhodes made to his friends without any motive to shift blame to another or minimize his own involvement in the murders. Thus, the timing and spontaneity of the statements tend to establish their reliability. The State also presented evidence of independent corroborative facts that verified the reliability of Rhodes's statements to Samuelson and Schwartz. Samuelson testified that he received a denied credit card charge for admission to an anime festival in the mail, and that the charge was in Brosz's name. The murders took place on the night that Rhodes said he had a job for the appellant to do. The physical evidence and the appellant's own admissions demonstrate that the appellant and Rhodes acted in concert throughout the commission of the offense. The testimony of Samuelson and Schwartz was admissible under Rule 803(24) because there were sufficient corroborating circumstances to indicate the trustworthiness of Rhodes's statements. FN29. Crawford v. Washington, 541 U.S. 36, 124 S.Ct. 1354, 158 L.Ed.2d 177 (2004). FN30. Ohio v. Roberts, 448 U.S. 56, 66, 100 S.Ct. 2531, 65 L.Ed.2d 597 (1980). FN31. 124 S.Ct. at 1374. FN32. Ibid. FN33. Ibid. Rhodes's statements to Samuelson and Schwartz do not fall within the categories of testimonial evidence described in Crawford. They were casual remarks that he spontaneously made to acquaintances.FN34 Rhodes's statements were non-testimonial in nature; thus, the new rule articulated in Crawford is not applicable in this case. Points of error nine, ten, eleven, and twelve are overruled. FN34. See Crawford, 124 S.Ct. at 1364 (“An accuser who makes a formal statement to government officers bears testimony in a sense that a person who makes a casual remark to an acquaintance does not.”); see also United States v. Manfre, 368 F.3d 832, 838 n. 1 (8th Cir.2004) (noting comments made to loved ones or acquaintances are not the kind of memorialized, judicial-process-created evidence of which Crawford speaks); see also People v. Cervantes, 118 Cal.App.4th 162, 174, 12 Cal.Rptr.3d 774 (App.2d Dist.2004) (holding that co-defendant's statement to a neighbor that he did not reasonably anticipate would be used at trial was non-testimonial in nature). In point of error thirteen, the appellant argues that the trial court erred by submitting part of the Geesa instruction in its charge to the jury during the guilt phase of the trial.FN35 We held in Geesa that trial courts must define reasonable doubt in their jury charges and mandated the following six paragraph jury instruction: FN35. Geesa v. State, 820 S.W.2d 154 (Tex.Crim.App.1991). All persons are presumed to be innocent and no person may be convicted of an offense unless each element of the offense is proved beyond a reasonable doubt. The fact that a person has been arrested, confined, or indicted for, or otherwise charged with, the offense gives rise to no inference of guilt at his trial. The law does not require a defendant to prove his innocence or produce any evidence at all. The presumption of innocence alone is sufficient to acquit the defendant, unless the jurors are satisfied beyond a reasonable doubt of the defendant's guilt after a careful and impartial consideration of all the evidence in the case. The prosecution has the burden of proving the defendant guilty and it must do so by proving each and every element of the offense beyond a reasonable doubt, and if it fails to do so, you must acquit the defendant. It is not required that the prosecution prove guilt beyond all possible doubt; it is required that the prosecution's proof excludes all “reasonable doubt” concerning the defendant's guilt. A “reasonable doubt” is a doubt based on reason and common sense after a careful and impartial consideration of all the evidence in the case. It is the kind of doubt that would make a reasonable person hesitate to act in the most important of his own affairs. Proof beyond a reasonable doubt, therefore, must be proof of such a convincing character that you would be willing to rely and act upon it without hesitation in the most important of your own affairs. In the event you have a reasonable doubt as to the defendant's guilt after considering all the evidence before you and these instructions, you will acquit him and say by your verdict “Not guilty.” FN36. Ibid. FN37. 28 S.W.3d 570, 573 (Tex.Crim.App.2000). FN38. The trial court submitted paragraphs , , , and  verbatim with one exception. The last line of paragraph  was shortened to read as follows: “The presumption of innocence alone is sufficient to acquit the defendant.” FN39. 686 S.W.2d 157 (Tex.Crim.App.1984). We held in Paulson that “the better practice is to give no definition of reasonable doubt at all to the jury.” FN40 We specifically criticized paragraphs  and  of the Geesa instruction as attempting to define reasonable doubt.FN41 The instruction in the instant case did not contain these paragraphs. The trial court did not abuse its discretion by including paragraph  of the Geesa instruction in the jury charge at the guilt or innocence phase of the trial. Point of error thirteen is overruled. FN40. Id., at 573. FN41. Id., at 572. It is not required that the State prove Special Issue No. 1 beyond all possible doubt; it is required that the State's proof excludes all reasonable doubt concerning the defendant. * * * It is not required that the State prove Special Issue No. 2 beyond all possible doubt; it is required that the State's proof excludes all reasonable doubt concerning the defendant. The appellant again complains of the trial court's use of the language contained in paragraph  of the Geesa instruction. He again acknowledges that he did not object to the inclusion of this paragraph, but argues that the alleged error caused him egregious harm.FN42 The appellant's argument fails for the same reasons expressed in point of error thirteen. Point of error fourteen is overruled. FN42. Almanza, 686 S.W.2d at 171. In his sixth point of error, the appellant complains of erroneously admitted evidence during the punishment phase of his trial. He challenges the admission of the audio-taped statement that he gave to a California detective regarding his involvement in an uncharged offense. The statement pertained to the murder of Beau Sanders, the manager of Insomnia whose body was discovered in the desert area located southwest of Las Vegas, Nevada. The appellant asserts that the statement was inadmissible because it was not taken in compliance with the dictates of Texas Code of Criminal Procedure Article 38.22. (1) he has the right to remain silent and not make any statement at all and that any statement he makes may be used against him at his trial; (2) any statement he makes may be used as evidence against him in court; (3) he has the right to have a lawyer present to advise him prior to and during any questioning; (4) if he is unable to employ a lawyer, he has the right to have a lawyer appointed to advise him prior to and during any questioning; and (5) he has the right to terminate the interview at any time. Strict compliance with all portions of Section 3(a) is required. FN43 The appellant specifically contends that his statement was inadmissible because the California detective failed to inform him that he had the right to terminate the interview at any time. FN43. Tex.Code Crim. Proc. art. 38.22, § 3(e); Nonn v. State, 117 S.W.3d 874, 879 (Tex.Crim.App.2003); Davidson v. State, 25 S.W.3d 183, 185 (Tex.Crim.App.2000). Detective Brad Toms of the San Bernardino County Sheriff's Department questioned the appellant at the Denton County Jail in January 2002.FN44 The purpose of the interview was to find out information about the disappearance of Sanders, who had been missing since March 2001. Prior to taking the appellant's statement, Toms read him his rights from a card issued by the San Bernardino Sheriff's Department. He advised the appellant that he had the right to remain silent, that any statement he made could be used against him, that he had a right to a lawyer, and that if he was unable to employ a lawyer that one would be appointed for him. He did not advise the appellant that he had a right to terminate the interview at any time. FN44. Detectives Smith, Garza, and Little were also present during the interview. In his statement, the appellant told Toms that Sanders wanted to go to California and that Rhodes, Jeremy Stark, and Matthew Potts gave him a ride. The appellant knew that Rhodes and Stark actually planned to kill Sanders. The appellant was going to accompany them on the trip, but his girlfriend convinced him not to go. He lent them his car instead. He later learned that they shot and killed Sanders in the desert. Rhodes provided the guns and was present at the time of the murder, but only Stark and Potts shot Sanders. When they returned to Texas, they were in possession of Sanders's personal items, including clothing, a hat, compact discs, and a compact disc case, which they divided up among themselves. The appellant denied that he ordered a “hit” on Sanders. He said that Sanders was his friend and that he felt bad about what happened to him. He did not do anything to prevent the murder, and he did not go to the police because he was afraid of Rhodes and Stark. Subsection (a) of this section shall not apply to any statement which contains assertions of facts or circumstances that are found to be true and which conduce to establish the guilt of the accused, such as the finding of secreted or stolen property or the instrument with which he states the offense was committed. FN45. Moore v. State, 999 S.W.2d 385, 400 (Tex.Crim.App.1999). FN46. Id., at 400–01. FN47. Id., at 401. The State asserts that the appellant's statement is admissible under the Section 3(c) exception because the police did not know where to find Sanders's body until the appellant told them. The State further asserts that the police did not know that Sanders was shot with Rhodes's .380 caliber pistol until the appellant gave his statement. The State's assertions, however, are not clearly supported by the record. During the interview, Toms told the appellant that Potts was already in custody in California for Sanders's murder and that they had a “nice long talk” with him resulting in “thirteen pages of communication.” Toms also stated that Potts told police exactly what happened and how it happened. Toms described the search for and recovery of Sanders's body during his trial testimony: Q. Okay. During the course of your investigation into the disappearance or missing Beau Sanders, did you ultimately end up going and searching a particular area of your county? A. Yes sir, we did. Q. What area was that? A. It's a cement road. It's an area south of—or sorry, southwest of Las Vegas, approximately 45 minutes southwest of Las Vegas. Q. And what is in this area? What kind of terrain is it? A. Desert. Q. Desert for as far as— A. Open desert. Q. So to search this type of area, what did ya'll do? A. What we did was have search and rescue. We contacted volunteers and asked them to come out and conduct a grid search of a specific area that we had information that Beau Sanders'[s] body would be located in. Q. How many times did you go and search this area, the desert area? A. Two times. Q. Were you successful or did you find anything the first time you went out there? A. The first time we were not successful. We did not find anything at all. Q. Tell the jury what happened the second time. A. I actually wasn't present during the search, but the second search, they went out and located evidence that would—that has now since been proven to be the body of Beau Sanders. Q. What kind of evidence did the searchers find? A. We found clothing, skeletal remains, and gun evidence, fired cartridge casings. Q. What type of gun evidence did you find? A. It was a .380 fired cartridge casing. * * * Q. After the remains were found and identified, did you and your team come to Texas to talk to witnesses to investigate the matter? A. Actually, I came to Texas prior to the remains being found. * * * Q. And while you were here in Texas, did you have an opportunity to speak with Steven Michael Woods? A. Yes sir, I did. It is unclear from the record exactly what the police knew about Sanders's murder before they interviewed the appellant. Toms told the appellant during the interview that they had already talked to Potts and that he told them exactly what had happened and how it happened. It appears that the police had already searched the desert once based on information they received, presumably from Potts, about where Sanders's body was located. When Toms asked the appellant if he knew where the murder took place, he said they “pulled off the road” in the “Mojave Reserve.” We cannot discern from the record whether the appellant's description was any more detailed than the one that Potts may have given. Although Sanders's body was not found until after the appellant's statement, it appears that the police generally knew where to look for the body before the appellant's statement. The State further notes in its brief on appeal that the appellant also told Detective Toms about the property from the crime scene taken by Rhodes, Stark, and Potts and that they had split up the property among themselves. The State concedes, however, that except for the fact that Mrs. Sanders, the victim's mother, identified a green bag that belonged to Beau in a photograph of items in the trunk of Marcus Rhodes's car, there is no indication in the record where and when the rest of the property was recovered.FN48 Thus, even if the police did not know where to find Sanders's belongings until the appellant gave his statement, the record does not indicate whether the appellant's assertions were later corroborated. FN48. Citation omitted. FN49. Nonn, 117 S.W.3d at 881. FN50. Tex. R App. P. 44.2(b). FN51. Nonn, 117 S.W.3d at 881. Other witnesses testified that the appellant was more involved in Sanders's murder than he told Toms in his statement. Michael Cavin testified that he and the appellant were staying at the apartment of a mutual friend in March 2001. Cavin observed the appellant, Stark, Rhodes, and Potts planning Sanders's murder at that time. The appellant told Cavin that he was taking Sanders out to California to kill him and that he would kill Cavin if he told anybody. Cavin was at Insomnia with the group on the night they were going to leave for California. Rhodes, Stark, Potts, and Sanders left in the appellant's car and the appellant stayed behind in Dallas. A day or two later, the appellant woke Cavin at 3:00 a.m., pointed a 12–gauge shotgun in his face, and asked him if he was still going to tell anybody. After the murder, the appellant, Rhodes, Stark, and Potts divided up Sanders's personal items amongst themselves. In addition, Stephen Price testified that he encountered the appellant when the appellant was in hiding in California after he committed the murders of Whitehead and Brosz. The appellant told Price that he murdered Whitehead because he “was a threat to go to the police” about the murder of Sanders that Rhodes and “two other people” committed in California. The testimony of Cavin and Price was stronger evidence of future dangerousness than the appellant's statement. In his statement, the appellant alleged only minimal participation and showed some remorse about Sanders's death. According to Cavin and Price, however, the appellant plotted Sanders's death and killed Whitehead in order to prevent him from telling the police what he knew about Sanders's murder. And the appellant's involvement in Sanders's murder was not the only evidence of future dangerousness. The evidence showed that, in the weeks leading up to the murders of Whitehead and Brosz, the appellant planned to steal money from a clothing store and to kill a woman named Deborah Handley during a drug transaction. The appellant also got into a fight with another inmate while incarcerated in the Denton County Jail awaiting trial. As a juvenile, he made a homemade bomb and committed the offense of “criminal sexual conduct.” Finally, the State introduced a recorded telephone call that the appellant made the night before the punishment phase in his capital trial began. The appellant tried to call Detective Toms, who was out of the office, and instead spoke to Detective Boldt and offered to give more information about to Sanders's murder. The State argued during closing that this phone call was evidence that the appellant was “still trying to manipulate people” and that he knew he was “going down” so he was “going to try to take the rest of his group with him.” Given all of this evidence, coupled with the violent and premeditated murders of Whitehead and Brosz, it is unlikely that the appellant's statement had a substantial and injurious effect on the jury's verdict at punishment.FN52 Point of error six is overruled. FN52. Nonn, 117 S.W.3d at 881. FN53. 530 U.S. 466, 120 S.Ct. 2348, 147 L.Ed.2d 435 (2000). FN54. 536 U.S. 584, 122 S.Ct. 2428, 153 L.Ed.2d 556 (2002). FN55. Bell v. State, 938 S.W.2d 35, 54 (Tex.Crim.App.1996); Moore v. State, 935 S.W.2d 124, 126–28 (Tex.Crim.App.1996). FN56. Oral argument in this case was heard on June 23, 2004. The United States Supreme Court delivered Blakely v. Washington, 542U.S. 296, 124 S.Ct. 2531, 159 L.Ed.2d 403 (2004), on which the appellant's post-submission brief relies, on June 24, 2004. FN57. Ibid. FN58. Apprendi, 530 U.S. at 490, 120 S.Ct. 2348.
is the maximum sentence a judge may impose solely on the basis of the facts reflected in the jury verdict or admitted by the defendant. In other words, the relevant “statutory maximum” is not the maximum sentence a judge may impose after finding additional facts, but the maximum he may impose without any additional findings. When a judge inflicts punishment that the jury's verdict alone does not allow, the jury has not found all the facts “which the law makes essential to the punishment,” and the judge exceeds his proper authority. FN59. Blakely, 124 S.Ct. at 2537 (citations omitted). The appellant argues that this language in Blakely means that the State must prove a negative answer to the mitigation special issue beyond a reasonable doubt in order for the trial judge to impose a sentence of death. More specifically, he argues that after a jury finds a defendant guilty of capital murder and answers the future dangerousness special issue “yes,” the maximum sentence that can be imposed is a life sentence. Then he argues that the only way death can be imposed is after an additional finding: The jury must answer “no” to the mitigation special issue. As a result, he claims that the statutory maximum, in the absence of the negative mitigation finding, is life imprisonment. We disagree with the appellant's conclusion. In Resendiz, we rejected the argument that the State bears the burden of proving a negative answer to the mitigation special issue.FN60 We reached this conclusion, in that case, because the statutory maximum for capital murder is fixed at death.FN61 Blakely does not affect this holding. FN60. Resendiz, 112 S.W.3d at 550. FN61. Ibid. In Blakely, Ring, and Apprendi, a trial judge made findings that increased the defendants' sentences beyond the statutory maximum. The Supreme Court held in these cases that a finding, other than a prior conviction, that increases the defendant's sentence beyond the maximum statutory punishment must be found by a jury beyond a reasonable doubt. Article 37.071 satisfies these requirements. Under Article 37.071, the jury makes the findings. The future dangerousness special issue FN62 and the parties special issue,FN63 when it applies, must be proven by the State beyond a reasonable doubt. FN64 The mitigation special issue FN65 has the potential to reduce the appellant's sentence, not increase it. As a result, the State need not prove a negative answer beyond a reasonable doubt. Points of error one, two, and three are overruled. FN62. The future dangerousness special issue asks the jury to decide “whether there is a probability that the defendant would commit criminal acts of violence that would constitute a continuing threat to society.” Tex.Code Crim. Proc. art. 37.071, § 2(b)(1). FN63. The parties special issue asks the jury to decide “in cases in which the jury charge at the guilt or innocence stage permitted the jury to find the defendant guilty as a party under Sections 7.01 and 7.02, Penal Code, whether the defendant actually caused the death of the deceased or did not actually cause the death of the deceased but intended to kill the deceased or another or anticipated that a human life would be taken.” Id., at art. 37.071, § 2(b)(2). FN64. Id., at art. 37.071, § 2(c). FN65. The mitigation special issue asks the jury to decide “[w]hether, taking into consideration all of the evidence, including the circumstances of the offense, the defendant's character and background, and the personal moral culpability of the defendant, there is a sufficient mitigating circumstance or circumstances to warrant that a sentence of life imprisonment rather than a death sentence be imposed.” Id., at art. 37.071, § 2(e)(1). In his fourth point of error, the appellant attacks the Texas death-penalty statute on the grounds that the mitigation special issue gives the jury unfettered discretion and permits the arbitrary and capricious imposition of the death penalty. We have previously rejected such arguments.FN66 Point of error four is overruled. FN66. Bell v. State, 938 S.W.2d 35, 54 (Tex.Crim.App.1996); Moore v. State, 935 S.W.2d 124, 126–28 (Tex.Crim.App.1996). In his fifth point of error, the appellant complains that the Texas death-penalty statute is unconstitutional because the mitigation instruction sends the same “mixed signals” to jurors as the court-made nullification instruction given to the jury in Penry v. Johnson ( Penry II ).FN67 He asserts that the statutory mitigation instruction sends mixed signals because it is unclear as to the burden of proof. FN67. 532 U.S. 782, 121 S.Ct. 1910, 150 L.Ed.2d 9 (2001). FN68. 67 S.W.3d 870, 877 (Tex.Crim.App.2002). FN69. 492 U.S. 302, 109 S.Ct. 2934, 106 L.Ed.2d 256 (1989). FN70. Jones v. State, 119 S.W.3d 766, 790 (Tex.Crim.App.2003), cert. denied, 542 U.S. 905, 124 S.Ct. 2836, 159 L.Ed.2d 270 (2004); Shannon v. State, 942 S.W.2d 591, 598 (Tex.Crim.App.1996). A clearly drafted catchall instruction on mitigating evidence also might have complied with Penry I. Texas' current capital sentencing scheme (revised after Penry's second trial and sentencing) provides a helpful frame of reference ... Penry's counsel, while not conceding the issue, admitted that he “would have a tough time saying that [ Penry I ] was not complied with under the new Texas procedure.” (citation omitted). At the very least, the brevity and clarity of this instruction highlight the confusing nature of the supplemental instruction actually given, and indicate that the trial court had adequate alternatives available to it as it drafted the instructions for Penry's trial. FN71. 121 S.Ct. at 1923–24. The appellant has not convinced us that the statutory mitigation instruction in its present form is unconstitutional.FN72 Point of error five is overruled. FN72. Jones, 119 S.W.3d at 790. I do not agree with the court's decision that the error of admitting the appellant's confession to committing the murder of Beau Sanders was harmless. The court says it is unlikely that the erroneously admitted confession had a substantial and injurious effect on the punishment verdict. Ante, at 120. The punishment stage of a capital trial will happen after a defendant has been found guilty of committing a capital crime. The question for the jury is whether to find, beyond a reasonable doubt, that the defendant probably will commit more criminal acts of violence that will constitute a danger to society. A defendant's confession that he already has committed a second murder is a very powerful piece of evidence. I could not find it unlikely that the erroneous admission of such evidence had no substantial effect on the jury's decision. The court says, first, that Michael Cavin and Stephen Price testified that the appellant was involved in the murder of Sanders, and that he was involved to a greater degree than he confessed. Id., at 119. But this ignores the difference between a confession and the testimony of those individuals. A confession is a statement against penal interest, and it is viewed as reliable. The testimony of Cavin and Price, without the confession, would have carried less weight. The court says that there was other evidence at the punishment stage. The appellant “planned” to commit two other crimes: stealing money from a clothing store and killing a woman during a drug transaction. Id., at 119. But plans are not deeds. The court adds to the list of evidence the appellant's offer to give the police more information about Sanders's murder. The court seems to accept the State's argument that this was evidence of bad character. Until now, I had thought it would be recognized by every law-abiding person, to say nothing of a prosecutor and a court, that helping the investigation of a murder was a good thing and that “omerta” was the ethic of organized crime. I would reverse the sentence of death and remand the case for another hearing on punishment. Background: Writ of habeas corpus was sought by petitioner whose capital murder conviction and sentence in the District Court, Denton County, Lee Gabriel, J., had been affirmed on direct appeal, 152 S.W.3d 105. Holding: The Court of Criminal Appeals, Cochran, J., held that defense counsel was not ineffective in its allegedly limited presentation of mitigation evidence during punishment phase of capital murder trial. Denied. Womack, J., concurred in denial of relief. COCHRAN, J., delivered the opinion of the Court in which KELLER, P.J., MEYERS, PRICE, JOHNSON, KEASLER, HERVEY and HOLCOMB, JJ., joined. This is an application for writ of habeas corpus filed pursuant to Article 11.071 of the Texas Code of Criminal Procedure. On August 21, 2002, applicant was convicted of capital murder. The jury answered the special issues submitted pursuant to Article 37.071, and the trial court, accordingly, set punishment at death. This Court affirmed applicant's conviction and sentence on direct appeal. Woods v. State, 152 S.W.3d 105 (Tex.Crim.App.2004). Applicant presents fifteen allegations in his application in which he challenges the validity of his conviction and resulting sentence. The trial court did not hold an evidentiary hearing. The trial court entered findings of fact and conclusions of law and recommended that the relief sought be denied. We adopt the trial court's comprehensive findings of facts and conclusions of law and, based upon those findings and our own independent review, we deny relief. FN1. 466 U.S. 668, 104 S.Ct. 2052, 80 L.Ed.2d 674 (1984). FN2. 539 U.S. 510, 123 S.Ct. 2527, 156 L.Ed.2d 471 (2003); see also Rompilla v. Beard, 545 U.S. 374, 125 S.Ct. 2456, 162 L.Ed.2d 360 (2005). In his application for writ of habeas corpus, applicant repeatedly cites to Wiggins v. Smith, arguing that, much like the attorneys in Wiggins, applicant's trial counsel failed to properly investigate his background and failed to present available mitigating evidence. While there are some similarities between applicant's claim and that found in Wiggins, their differences predominate. FN3. Id. at 515, 125 S.Ct. 2456. FN4. Id. FN5. Id. at 515–17, 125 S.Ct. 2456. FN6. Id. at 517, 125 S.Ct. 2456. FN7. Id. at 522–34, 125 S.Ct. 2456. The Supreme Court found the failure to investigate was unreasonable because the attorneys had access to information in the Department of Social Services report and the presentence investigation which would have led a reasonable attorney to further investigate Wiggins's family and social history. FN8. Id. at 533, 125 S.Ct. 2456. Strickland sets out a two prong test for determining whether trial counsel was constitutionally ineffective. A defendant must first prove that his trial counsel's performance fell below an objective standard of reasonableness. If this prong is met, the defendant must then show that but for the ineffective assistance, a reasonable probability exists that the outcome of the trial would have been different. Strickland, 466 U.S. at 687, 104 S.Ct. 2052. FN9. Wiggins, 539 U.S. at 528, 123 S.Ct. 2527. FN10. Id. at 533, 123 S.Ct. 2527. The Supreme Court noted that Wiggins “has the kind of troubled history we have declared relevant to assessing a defendant's moral culpability.” The Court went on to find “that had the jury been confronted with this considerable mitigating evidence, there is a reasonable probability that it would have returned with a different sentence.” Id. at 535–36, 123 S.Ct. 2527. However, in the present case, applicant's attorneys did investigate their client's background, and did present mitigating evidence, albeit only a minimal amount. During their investigation, they spoke with applicant's family members, tracked down medical, psychological and school records, used expert witnesses, and extensively interviewed applicant himself regarding potential mitigating evidence. Applicant's counsel hired three separate mitigation specialists to interview applicant and testify on his behalf. One of the three experts performed so poorly that the attorneys dismissed her early in their trial preparation. The second expert, Dr. Kelly Goodness, interviewed applicant extensively, and fully reviewed his social and medical history. Based on her findings, Dr. Goodness was unwilling to state under oath that applicant would not pose a threat of future dangerousness, and she believed that no other objective expert would be able to reach a different conclusion based upon personal interaction with applicant. Armed with this expert's opinion and her extensive information about their client's background and personality, applicant's attorneys took Dr. Goodness's advice to hire a third expert, Dr. Robin Neeley, to review applicant's records without conducting any face-to-face interviews. They hoped Dr. Neeley could give a “more objective, clinical-type opinion for mitigation,” without being subject to cross-examination on her personal knowledge of applicant's previous “inappropriate” social behavior. Dr. Neeley testified during the sentencing hearing about applicant's drug addiction, self-injurious and suicidal behavior, abusive and alcoholic father, neglectful mother, and institutionalization for mental and drug-related problems. In fact, much of the mitigating evidence applicant now claims his attorneys should have presented through his friends and family was presented by Dr. Neeley. While applicant argues that this evidence would have been more favorable and personal if it had come directly from those who knew him best, his attorneys had good reasons for not calling these witnesses to testify at trial. They did not want the jury to “know” applicant. Applicant's mother was willing to testify, but she was unwilling to admit that her son's failings had anything to do with his upbringing because she felt that she was a good mother who did the best she could with an out-of-control child. Before trial, applicant's father repeatedly refused to testify on his son's behalf under any circumstances. While other witnesses may have been willing to testify on applicant's behalf, they would have been subject to cross-examination regarding their knowledge of applicant's involvement in Satanism, his proclivity for making and using pipe bombs, and his abusive behavior towards other people as well as animals. It was not a deficient strategy for applicant's attorneys to decline to call witnesses who would testify to some mitigating facts, but then be subject to cross-examination concerning a vast array of aggravating facts. Further, the State informed applicant's attorneys that it had substantial rebuttal evidence ready if applicant sponsored such witnesses. This included evidence that applicant: · sexually abused both his younger brother and a former girlfriend; · made bombs in his home; · physically abused his siblings; · physically abused his dogs; · attempted to burn down his school; · physically threatened his teachers; · actively participated in Nazi and skinhead groups; · dealt drugs; and · regularly carried a gun. Applicant's stepfather, fiancée, and his fiancée's family were all willing to testify for the State regarding applicant's anti-social, sadistic behavior and bad character. Applicant himself refused to give his own attorneys details of his “troubled” past. He consistently minimized the impact of—or denied the existence of—most of the mitigating evidence his attorneys were able to find. While applicant certainly would have been able to testify regarding his deeply “troubled” past, he was unwilling to admit that his childhood was anything other than that of the average person. Based on applicant's unwillingness to openly discuss mitigating evidence, and the other extraordinarily damaging information his attorneys learned of during their investigation, they determined that the best sentencing strategy would be to present only the clinical, objective opinion of an expert witness. Applicant's trial attorneys did not interview each and every potential witness now suggested by applicant in his habeas application, and therefore they did not conduct the most thorough investigation possible. Other attorneys might have interviewed more potential witnesses or used a different strategy at sentencing. However, unlike the attorneys in Wiggins, ample evidence shows that their decision not to pursue such avenues was based on “reasonable professional judgments [supporting] the limitations on investigation.” FN11 When an attorney opens Pandora's box, he is not constitutionally required to examine each and every disease, sorrow, vice, and crime contained therein before quietly and firmly closing the cover. FN11. Id. at 533, 123 S.Ct. 2527 ( quoting Strickland, 466 U.S. at 690–91, 104 S.Ct. 2052). It is entirely reasonable to conclude that a Texas jury would be singularly unimpressed by the sordid details of applicant's background and bad character traits. Reasonable judgment in determining a sentencing strategy is sufficient under the standard set forth by the Supreme Court in Strickland and refined in Wiggins. Because applicant has failed to prove that his attorneys did not meet this standard, we conclude that applicant's ineffective assistance of counsel claim is without merit under federal constitutional standards. WOMACK, J., concurs in the denial of relief. Background: Following affirmance of defendant's conviction and sentence for capital murder, 152 S.W.3d 105, and affirmance of denial of state post-conviction relief, 176 S.W.3d 224, petitioner sought federal habeas relief. The United States District Court for the Eastern District of Texas, 2009 WL 2757181, denied relief. Certificate of appealability (COA) was granted. Holdings: The Court of Appeals held that: (1) defense counsel's conduct was reasonable trial strategy, and therefore was not ineffective assistance; (2) counsel's decision not to investigate and present to jury explanation of defendant's behavioral and addiction problems from psychiatric perspective did not prejudice defendant so as to constitute ineffective assistance; and (3) defendant was not entitled to evidentiary hearing. Affirmed. Steven Michael Woods was convicted of capital murder and sentenced to death in Texas state court. The district court denied Woods's petition for writ of habeas corpus but granted Woods a certificate of appealability on three issues: (1) whether his counsel rendered ineffective assistance by failing to fully investigate and present certain mitigating evidence; (2) whether his counsel rendered ineffective assistance by failing to investigate or present evidence to challenge the reliability of his alleged inculpatory statements; and (3) whether he was denied his right to the assistance of counsel during custodial interrogation when inmate Gary Don Franks elicited information from Woods while he was incarcerated. Woods raises only the first issue in the instant appeal, thus we address only the issue of whether trial counsel rendered ineffective assistance during the punishment phase of Woods's trial. Woods argues that the state court and district court erred in denying relief for this claim without allowing evidentiary development. He asks this Court to vacate the district court's denial of relief and remand the case for further evidentiary development. He argues that the district court incorrectly applied precedent from the Strickland– Wiggins line of cases when it (1) did not consider all material evidence in evaluating the prejudice prong of his Strickland– Wiggins claim; (2) denied an evidentiary hearing and relied on the state court findings of fact and conclusions of law, which resulted from a procedurally inadequate paper hearing; and (3) failed to focus on the possible influence of omitted mitigation evidence upon the individual jurors. We find that the state court determination of ineffective-assistance-of-counsel claim is not objectively unreasonable, and thus we affirm the district court's denial of habeas relief on this claim. Additionally, we do not find that the district court abused its discretion in denying an evidentiary hearing given that the state court habeas proceedings were full and fair. Early in the morning of May 2, 2001, two golfers driving down Boyd Road at the Tribute Golf Course near The Colony, Texas, found the bodies of Ron Whitehead and Beth Brosz. Both had been shot in the head and had their throats cut. Whitehead was dead; Brosz was still alive but after receiving medical care, she died the next day. That evening, police received several anonymous tips that Woods was involved in the killings, along with one Marcus Rhodes. Detectives interviewed Woods, who admitted to being with the victims the night before their bodies were found. He said that he and Rhodes had agreed to lead Whitehead and Brosz to a house in The Colony owned by someone named “Hippy,” but that their two vehicles became separated during the trip, so he and Rhodes returned to the Deep Ellum section of Dallas. Woods was not arrested as a result of his interview. Detectives then interviewed Rhodes, and after a search of his car revealed items belonging to Whitehead and Brosz, Rhodes was arrested. Woods left the Dallas area, traveling to New Orleans, Idaho and California, where he was finally arrested. Several witnesses testified that before the killings he told them about his plan to commit the murders, and after the killings, he told them about his participation in them. Woods v. Quarterman, No. 6:06–CV–344, 2009 WL 2757181, at *1 (E.D.Tex. Aug.26, 2009). On April 18, 2002, Woods was indicted for capital murder for the killing of more than one individual in the same criminal transaction, for which he was found guilty by a Denton County jury. During a separate punishment hearing, the State, in addition to evidence about the circumstances of the crime and Woods's moral culpability, presented evidence that Woods was involved in the murder of another individual in California one-and-a-half months prior to the murders of Whitehead and Brosz; that Woods got into a fight with another inmate in the Denton County Jail; that Woods, Rhodes, and two other accomplices planned to rob a clothing store in Deep Ellum; that Woods may have planned to murder a woman who was coming to pick up vials of “acid” to sell; and that Woods made “bottle bombs” as a juvenile. Woods's attorneys, Jerry Parr and Derek Adame, presented only the expert testimony of Robin Neely, a licensed master's social worker with an advanced clinical practitioner certification and a licensed marriage and family therapist. Neely had reviewed records from the defendant's four hospitalizations at Havenwyck Hospital and St. Joseph Mercy Hospital, all occurring when the defendant was between the ages of thirteen and eighteen. The records included family and social histories taken at that time. She testified that Woods's behavioral problems—including drug use, continuing self-injurious behaviors such as cutting himself, minor sexual assault, and eventually antisocial behavior—stemmed from a horrible upbringing that was filled with physical and emotional abuse by his father; devoid of any structure, support, or affection from his mother; and completely lacking in any sort of accountability for his actions. Neely testified that if the family or the juvenile justice system had addressed his behavioral problems and provided for ongoing treatment earlier in his lifetime, Woods could have reversed his downward spiral into drug abuse and self-injurious and antisocial behavior. After hearing both sides, the jury found beyond a reasonable doubt that (1) there was a probability that Woods was a continuing threat to society; (2) Woods actually caused the death of the victims, intended to kill the victims, or anticipated that the lives of victims would be taken; (3) there was no sufficient mitigating circumstance to warrant a sentence of less than death after taking into consideration the circumstances of the crime and the evidence of Woods's character, background, and personal moral culpability. In accordance with state law, the trial judge sentenced Woods to death. On direct appeal, the Texas Court of Criminal Appeals (“CCA”) affirmed Woods's conviction and sentence. See Woods v. State, 152 S.W.3d 105 (Tex.Crim.App.2004). The Supreme Court denied certiorari. See Woods v. Texas, 544 U.S. 1050, 125 S.Ct. 2295, 161 L.Ed.2d 1092 (2005). 1) Based upon the credible affidavit of the government's lead prosecutor, Michael Moore, the government had additional evidence that it could have presented to prove Woods was a future danger including evidence of bomb-making, sexual assault, documentation from mental hospitals that Woods hated society and was sadistic, school officials who could not testify to anything favorable or redeeming about the defendant, sexual abuse of his younger brother, escalating physical abuse of siblings and dogs, affiliation with white supremacists, theft, drug dealing, and that even Woods's fiancée and her family would testify as to Woods's negative character. 2) Based upon the credible affidavits of Woods's trial counsel, attorneys Parr and Adame, that trial counsel had hired Dr. Kelly Goodness, an expert witness, who interviewed Woods and reviewed his records. She declined to testify because in her professional opinion, she could not say that Woods was not a future danger, and no objective mitigation expert could credibly do so either. 3) Based upon the credible affidavits of Parr and Adame, that trial counsel's decision to present Robin Neely as an expert witness after only a review of Woods's medical, school, juvenile, and family records constituted a sound strategy of trying to demonstrate Woods's poor and neglected upbringing and the significance of this history in assessing Woods's behavior. 4) Based upon the credible affidavits of Parr, Adame, and Moore, that Woods's mother, Cheryl Boyagian, was available to testify but that her discussion with Adame revealed that her testimony would hurt Woods's mitigation case, and thus trial counsel's decision not to present Cheryl Boyagian constituted sound trial strategy. 5) Based on credible affidavits of Parr and Adame, that Woods's father, Steven Woods Sr., could not offer any evidence favorable or beneficial to Woods. 6) Based on credible affidavits of Parr, Adame, and Moore, that trial counsel had full and complete knowledge of available mitigation evidence. 7) Based upon the credible affidavits of Parr, Adame, and Moore, that the decision by trial counsel not to call family members and friends of Woods constituted a sound trial strategy after a conscious decision to avoid the proffer of damaging rebuttal evidence by the Government. 8) Based upon credible affidavits of Parr, Adame, and Moore, and the evidence presented at trial, that the evidence of mitigation and future dangerousness that was detrimental to Woods far outweighed the evidence favorable to Woods. Accordingly, Judge Gabriel recommended that post-conviction relief be denied because Woods failed to meet his burden of proof of counsel's deficient performance and harm. See Ex Parte Woods, 176 S.W.3d 224, 225 (Tex.Crim.App.2005). The CCA adopted the findings of fact and conclusions of law, and denied relief. Id. For the ineffective-assistance-of-counsel claim for failure to investigate mitigating circumstances, the CCA supplemented Judge Gabriel's findings of fact and legal conclusion with an extended discussion of why the court was denying relief on this claim. The CCA noted that trial counsel had conducted an investigation: “[T]hey spoke with applicant's family members, tracked down medical, psychological and school records, used expert witnesses, and extensively interviewed applicant himself regarding potential mitigating evidence.” Id. at 226. The CCA further noted that trial counsel had hired two expert witnesses, one of whom interviewed applicant extensively and fully reviewed his social and medical history. The CCA found that after Dr. Goodness stated she could not testify, trial counsel took her advice and hired another expert to review Woods's records without conducting a face-to-face interview. Id. at 227. The CCA gave credence to trial counsel's assertion that given Dr. Goodness's opinion and advice, they made a strategic decision to present only an objective, clinical opinion of an expert witness who could not be subject to a cross-examination on her personal knowledge of Woods's previous behavior. Additionally, the CCA held that the trial counsel's decision not to interview any potential mitigation witnesses other than the mother was based on “ ‘reasonable professional judgments [supporting] the limitations on investigation.’ ” Id. The CCA outlined the extensive amount of rebuttal evidence the State was prepared to present if Woods's attorneys were to call witnesses who would testify as to personal knowledge of mitigating circumstances. The CCA also found that the State had informed the defense that Woods's “stepfather, fiancee, and his fiancee's family were willing to testify for the State as to applicant's anti-social, sadistic behavior and bad character.” Id. The CCA found that it was a sound strategic decision not to interview or present witnesses who could testify to mitigating circumstances, but who would also be subject to cross-examination regarding their knowledge of Woods's involvement in Satanism, his bomb-making activities, and his abusive behavior toward animals and loved ones. See id. Finding all this and that Woods himself was unwilling to discuss mitigating evidence or the damaging information that State could present, the CCA held that the applicant failed to prove that his attorneys rendered ineffective assistance of counsel and thus denied relief. Woods then filed an application for habeas corpus in the U.S. District Court for the Eastern District of Texas. In a memorandum opinion and unpublished order, the district court denied the first seventeen claims for relief in Woods's application for habeas corpus, including the three claims in the appeal before us, and dismissed with prejudice the eighteenth and final claim in Woods's application for a writ of habeas corpus. Woods, 2009 WL 2757181, at *21. As to the claim at issue in the instant appeal, the district court assessed Woods's contentions that his defense counsel should have: (1) interviewed and presented friends and acquaintances who could speak to his character and his abused childhood; (2) more fully investigated and presented evidence of his mental illness and neurological condition; and (3) interviewed and presented family members who could speak to his background and character. As to the first claim, the district court noted that in addition to the government's disclosure of potential rebuttal evidence, the defense counsel had discovered an online diary kept by one of Woods's girlfriends that would paint him in a less sympathetic light. Id. at *3. The district court noted that this discovery likely gave credence to the prosecution's disclosure that they had numerous witnesses who could attest to defendant's bad character, violence, and bad acts. Id. As to the neurological claim, the district court noted that defense counsel hired Dr. Kelly Goodness, a psychologist, and provided her with Woods's psychiatric records. Id. The district court found no indication that Dr. Goodness told counsel that further investigation into his psychiatric conditions was necessary. Id. Thus, the district court held that the state court was not unreasonable in its conclusion that counsel's decision not to seek further neurological testing was not deficient performance. Id. However, the district court disagreed with the state court findings as to whether counsel should have further investigated and called family members as witnesses to Woods's abused and dysfunctional upbringing. Id. at *5. The district court pointed out in particular the testimony of Neely that Woods's mother interfered with Woods's stepfather's attempt to impose discipline by calling Child Protective Services on him for abuse. Id. The district court noted that given counsel's strategy to objectively demonstrate the extraordinarily poor upbringing to which Cheryl Boyagian had exposed Woods, they should have at least attempted to interview Woods's siblings about alleged physical abuse they suffered at the hands of their stepfather. Id. However, in assessing the prejudice element of the Strickland– Wiggins test de novo, the district court found that Woods had failed to prove prejudice because (1) it was unlikely that defense counsel would have presented such evidence as it could have weakened counsel's defense that Woods's mother was unfeeling and indifferent, and (2) even if Woods's brothers did testify, their testimony may not have been credible given that Child Protective Services had found the charges to be unsubstantiated. Id. Accordingly, it denied relief as to this claim. Though it denied relief for all claims in Woods's application, the district court granted a COA on three issues. Woods has only raised the first issue in this appeal. Thus, we consider only whether trial counsel rendered ineffective assistance by failing to fully investigate and present certain mitigation evidence during the punishment phase of Woods's trial. We find that the district court did not abuse its discretion in denying an evidentiary hearing and affirm the district court's decision to deny relief. We address the merits of the ineffective-assistance claim first, then address Woods's procedural arguments for why the district court erred in its denial of an evidentiary hearing. Because an ineffective assistance claim is a mixed question of law and fact, we review the district court's denial of habeas relief de novo. Ladd v. Cockrell, 311 F.3d 349, 357 (5th Cir.2002) (citing Crane v. Johnson, 178 F.3d 309, 312 (5th Cir.1999)). However, this habeas petition is governed by the standards established by the Antiterrorism and Effective Death Penalty Act of 1996 (“AEDPA”). The 1996 amendments to 28 U.S.C. § 2254 “circumscribe our consideration of [Woods's] claim and require us to limit our analysis to the law as it was ‘clearly established’ by the precedents existing at the time of the state court's decision.” Wiggins v. Smith, 539 U.S. 510, 520, 123 S.Ct. 2527, 156 L.Ed.2d 471 (2003). Under AEDPA, a federal court cannot grant habeas relief for any claim that was adjudicated on the merits in state court proceedings unless the adjudication of the claim either (1) resulted in a decision that was contrary to, or involved an unreasonable application of, clearly established federal law, as determined by the Supreme Court of the United States; or (2) resulted in a decision that was based on an unreasonable determination of the facts in light of the evidence presented in the State court proceeding. 28 U.S.C. § 2254(d); see Wiggins, 539 U.S. at 520, 123 S.Ct. 2527. “We review pure questions of law under the ‘contrary to’ standard of subsection (d)(1), mixed questions of law and fact under the ‘unreasonable application’ standard of subsection (d)(1), and pure questions of fact under the ‘unreasonable determination of facts' standard of sub-section (d)(2).” Murphy v. Johnson, 205 F.3d 809, 813 (5th Cir.2000) (citation omitted). Under subsection 2254(d)(1), a decision is contrary to federal law if the state court (1) “arrives at a conclusion opposite to that reached by [the Supreme Court] on a question of law” or (2) “confronts facts that are materially indistinguishable from relevant Supreme Court precedent and arrives at a result opposite to [that precedent].” Williams v. Taylor, 529 U.S. 362, 405, 120 S.Ct. 1495, 146 L.Ed.2d 389 (2000). Under the “unreasonable application” clause of subsection 2254(d)(1), a federal habeas court may grant relief if the state court (1) “identifies the correct governing legal principle from [the Supreme] Court's decisions but unreasonably applies it to the facts of the particular state prisoner's case,” (2) “unreasonably extends a legal principle from our precedent to a new context where it should not apply,” or (3) “unreasonably refuses to extend that principle to a new context where it should apply.” Id. at 407, 120 S.Ct. 1495. Under the “unreasonable application” clause, “the state court's decision must have been more than incorrect or erroneous”; “[t]he state court's application must have been ‘objectively unreasonable.’ ” Wiggins, 539 U.S. at 520–21, 123 S.Ct. 2527 (citing Williams, 529 U.S. at 409, 120 S.Ct. 1495); see also Rompilla v. Beard, 545 U.S. 374, 380, 125 S.Ct. 2456, 162 L.Ed.2d 360 (2005). In deciding whether to grant relief, we must presume that the state court's factual findings were correct unless Woods meets his burden of rebutting that presumption by clear and convincing evidence. 28 U.S.C. § 2254(3)(1); Murphy, 205 F.3d at 813. “The presumption is especially strong when, as here, the state habeas court and the trial court are one and the same.” Id. (citations omitted). Claims of ineffective assistance of counsel are governed by Strickland v. Washington's two-part standard. 466 U.S. 668, 687, 104 S.Ct. 2052, 80 L.Ed.2d 674 (1984). Under this standard, Woods must show that (1) counsel's performance was deficient, and (2) this deficiency prejudiced the defendant. Id. For counsel's performance to be deficient, “the defendant must show that counsel's representation fell below an objective standard of reasonableness” as measured by “prevailing professional norms.” Id. at 688, 104 S.Ct. 2052. There is no checklist for judicial evaluation of attorney performance. Instead, the performance inquiry is on “whether counsel's assistance was reasonable considering all the circumstances” because no checklist for counsel's conduct “can take into account ... the variety of circumstances faced by defense counsel or the range of legitimate decisions regarding how best to represent a criminal defendant.” Id. at 688–89, 104 S.Ct. 2052. Our assessment of counsel's performance is “highly deferential.” Id. at 689, 104 S.Ct. 2052. We make every effort to “eliminate the distorting effects of hindsight.” Id. Because of the difficulties of such analysis, we recognize a “strong presumption that counsel's conduct falls within the wide range of reasonable professional assistance; that is, the defendant must overcome the presumption that, under the circumstances, the challenged action might be considered sound trial strategy.” Id. (citation and quotation marks omitted). We will not find counsel's performance deficient “merely because we disagree with trial counsel's strategy.” Crane, 178 F.3d at 312. In a capital sentencing proceeding, “defense counsel has the obligation to conduct a ‘reasonably substantial, independent investigation’ into potential mitigating circumstances.” Neal v. Puckett, 239 F.3d 683, 688 (5th Cir.2001) (quoting Baldwin v. Maggio, 704 F.2d 1325, 1332–33 (5th Cir.1983)). Like any claim of ineffective assistance of counsel, we scrutinize the reasonableness of counsel's investigation in light of all relevant circumstances and give deference to counsel's decision to pursue a sound trial strategy. But in explaining how to assess investigation choices in Wiggins v. Smith, the Supreme Court noted: “Strategic choices made after thorough investigation of law and facts relevant to plausible options are virtually unchallengeable; and strategic choices made after less than complete investigation are reasonable precisely to the extent that reasonable professional judgments support the limitations on investigation. In other words, counsel has a duty to make reasonable investigations or to make a reasonable decision that makes particular investigations unnecessary. In any effectiveness case, a particular decision not to investigate must be directly assessed for reasonableness in all circumstances, applying a heavy measure of deference to counsel's judgments.” Wiggins, 539 U.S. at 521–22, 123 S.Ct. 2527 (quoting Strickland, 466 U.S. at 690–91, 104 S.Ct. 2052). Thus, the relevant inquiry here is not whether counsel had some evidence to stop investigating, but rather (1) what evidence was already known to counsel, and (2) based on the evidence available, would a reasonable attorney continue to investigate or limit further investigation. Id. ; see, e.g., Rompilla, 545 U.S. 374, 125 S.Ct. 2456 (holding that counsel was ineffective for deciding to forgo looking at material that the prosecution would probably rely on even though interviews with the capital defendant and members of his family suggested no mitigating evidence was available). However, the Supreme Court has emphasized that “ Strickland does not require counsel to investigate every conceivable line of mitigating evidence no matter how unlikely the effort would be to assist the defendant at sentencing,” nor “does Strickland require defense counsel to present mitigating evidence at sentencing in every case.” Wiggins, 539 U.S. at 532, 123 S.Ct. 2527. Rather, Strickland requires counsel to ensure their decisions to limit investigations are supported by “reasonable professional judgment.” See id. In addition to proving counsel's performance was deficient, the petitioner must also show that counsel's failure prejudiced his defense. Id. at 534, 123 S.Ct. 2527. To establish prejudice, the “defendant must show that there is a reasonable probability that, but for counsel's unprofessional errors, the result of the proceeding would be different.” Id. (citing Strickland, 466 U.S. at 694, 104 S.Ct. 2052). A reasonable probability is a probability sufficient to undermine confidence in the outcome. Id. (citing Strickland, 466 U.S. at 694, 104 S.Ct. 2052). In assessing prejudice, we reweigh the evidence in aggravation against the totality of available mitigating evidence. Id. In reweighing this evidence, we consider all evidence adduced at trial and at the habeas proceedings. Williams, 529 U.S. at 397–98, 120 S.Ct. 1495. We may approach the Strickland– Wiggins inquiry in any order; “a court need not determine whether counsel's performance was deficient before examining the prejudice suffered by the defendant as a result of the alleged deficiencies.” Strickland, 466 U.S. at 697, 104 S.Ct. 2052. In accordance with § 2254, we must determine whether the state court's application of the precedent from the Strickland– Wiggins line of cases to the facts of this case was objectively unreasonable. We find that it is not. We agree with the CCA that trial counsel exercised reasonable professional judgment in deciding not to further interview or present Woods's family members, friends, or acquaintances in light of the great amount of potentially harmful rebuttal evidence the prosecution was ready to present. As to Woods's contention that trial counsel should have further investigated the possibility of neuropsychological impairment, we find that Woods has failed to carry his burden of proving prejudice. We address each of Woods's contentions in turn. Woods argues that trial counsel rendered ineffective assistance by failing to interview or present family members, friends, and acquaintances who could speak to his good character, his abuse—and neglect-filled upbringing, and his background. After reviewing the state court's opinions, we do not find the CCA's determination objectively unreasonable; we agree that trial counsel's decision not to present Woods's mother as a witness or interview Woods's family members, friends, and acquaintances was based on reasonable professional judgment. In assessing whether counsel's performance was deficient in Wiggins, the Supreme Court found that trial counsel's decision to stop investigation of the defendant's background for mitigation evidence was unreasonable. There, trial counsel claimed that their decision to limit their investigation into the defendant's background to a review of the defendant's pre-sentence investigation report and Department of Social Services records reflected a strategic decision not to present mitigating evidence, and instead to prepare and pursue an alternative strategy. See Wiggins, 539 U.S. at 517, 123 S.Ct. 2527. The Court held that this decision was unreasonable because (1) standard practice required preparation of a social history report; (2) the limited evidence trial counsel had revealed leads to mitigating evidence of a horrible childhood filled with incidents of sexual and physical abuse that any reasonable, competent attorney would have pursued; and (3) a thorough investigation of those leads “was necessary to making an informed choice among possible defenses.” Id. at 524–27, 123 S.Ct. 2527. The Court underscored that unlike in cases where limited investigations were reasonable, Wiggins's “counsel uncovered no evidence in their investigation to suggest that a mitigation case, in its own right, would have been counterproductive, or that further investigation would have been fruitless.” Id. at 525, 123 S.Ct. 2527. Unlike in Wiggins, where trial counsel had no evidence that a mitigation case would have been counterproductive or that further investigation would have been fruitless, id., the trial counsel here had been informed of an extensive amount of rebuttal evidence that the State was prepared to present if they called witnesses to speak on their personal knowledge of Woods's good character and dysfunctional upbringing. Much of this information was already documented in the medical records, which counsel reviewed with Dr. Goodness. Given this knowledge and Dr. Goodness's professional opinion that no objective expert could reach a conclusion that Woods did not pose a threat of future dangerousness, trial counsel's decision to limit their investigation and to refrain from interviewing and presenting members of Woods's family and circle of friends and acquaintances was reasonable. By pursuing a strategy of presenting the objective, clinical opinion of Robin Neely after a review of only paper records, Woods's attorneys were still able to introduce testimony about Woods's dysfunctional and abused upbringing without the possibility of witnesses being cross-examined on their personal knowledge of the defendant's bad character, traits, or acts. Thus, they were able to avoid extended questioning on Woods's involvement in Satanism, bomb-making activities, abuse of animals and his brothers, affiliation with white supremacists, and drug dealing. The district court found trial counsel's performance deficient because they did not interview Woods's brothers to substantiate accounts that Woods had suffered abuse from his stepfather. We disagree. This contention was well-documented in the Havenwyck and St. Joseph medical records, which Robin Neely reviewed before her testimony. Trial counsel had reviewed the medical records extensively with their expert witnesses and crafted a strategy to portray Boyagian as a self-centered, uncaring mother who missed counseling appointments and failed to regularly visit Woods when hospitalized. As the district court points out in its prejudice analysis, investigating Woods's mother's calling of CPS would have run counter to trial counsel's strategy and may not have been fruitful in proving the stepfather's abusive nature given that CPS found the allegations to be unsubstantiated. Woods, 2009 WL 2757181, at *5. Given that we must be “highly deferential” in our assessment of counsel's performance, Strickland, 466 U.S. at 689, 104 S.Ct. 2052 we do not find counsel's performance deficient “merely because we disagree with trial counsel's strategy.” Crane, 178 F.3d at 312. Additionally, we also agree with the state court that trial counsel's decision not to present Woods's mother or biological father was the result of reasonable professional judgment and adequate investigation. The senior Mr. Woods repeatedly refused to testify and stated that he always knew his son would end up in some kind of trouble. Cheryl Boyagian refused to cooperate with trial counsel's strategy to present her as a bad mother because she believed she was a good mother who did the best she could. Furthermore, as Adame and Moore state in affidavits found credible by the state courts, Boyagian told Adame that, “ ‘if [Woods] did it, then he deserves what he gets' ” and that “ ‘he got himself into this mess, he's got to get himself out.’ ” No reasonable attorney would want their witness to make statements such as those made by Woods's parents in front of the jury. Given that we agree with the state courts that trial counsel was effective in their performance during the punishment phase, we do not reach the prejudice prong. Because we find that the CCA was reasonable in determining that these were strategic decisions based on reasonable professional judgment, we find that its determination of these contentions is not objectively unreasonable. Woods also contends that trial counsel should have investigated and presented an explanation of Woods's behavioral and addiction problems from a psychiatric/psychological perspective. Given his well-documented history of polysubstance abuse, head injury, and possible family history of mental illness, he argues that neuropsychological evaluation was warranted. He argues that such an approach could have clarified for the jury that his substance abuse problems and behavior were medical issues rather than moral failings. After reviewing the state court proceedings and the evidence in the record, we cannot determine whether trial counsel's performance was sufficient or deficient, but we find that the defendant has failed to prove that he was prejudiced by counsel's decision not to pursue a neuropsychological explanation of his addictions or his behavior. Thus, we do not find the state court's legal conclusion that there was no ineffective assistance of counsel objectively unreasonable. The district court rejected Woods's argument regarding the investigation and presentation of neuropsychological evidence after noting that there was no indication that Dr. Kelly Goodness, a licensed psychologist, told counsel that further investigation into his psychiatric conditions was necessary. Thus, it held that it could not find that the state court was unreasonable in its conclusion that counsel's decision not to seek further neurological and mental health testing was not deficient performance. However, in our review of the state court's findings and legal conclusions and the record itself, we cannot say that we are convinced by the district court's reasoning. The state court trial judge, Judge Gabriel, made no specific finding of fact on why counsel decided not to pursue a neurological examination. The state court judge seems to have dispensed with this line of argument with his finding that any remaining contested issues were inconsequential because counsel's decision not to present evidence other than the testimony of Neely constituted sound trial strategy. The CCA opinion did not specifically discuss Woods's neuropsychological contention either. Spending most of its opinion discussing why interviews and presentation of family members and friends as potential mitigation witnesses were not necessary given the defense's sentencing strategy, the CCA merely states that “[w]hen an attorney opens Pandora's box, he is not constitutionally required to examine each and every disease, sorrow, vice, and crime contained therein before quietly and firmly closing the cover.” Ex Parte Woods, 176 S.W.3d at 228. It is not clear from the record or trial counsel's affidavits whether counsel's decision not to pursue this line of strategy was the result of reasoned judgment as required by Wiggins. The files from the Woods's stays at Havenwyck and St. Joseph Mercy document an extensive history of: substance abuse, including alcohol, marijuana, LSD, heroin, cocaine, speed, mushrooms, opiates, and ecstacy; diagnoses of depression, attention deficit disorder, and traits of borderline personality disorder; strong family history of substance abuse; possible history of bipolar disease on his father's side; and a history of frequent migraines. These indicators clearly necessitate some investigation. It is undisputed that trial counsel hired Dr. Goodness to review these files and interview the patient. However, it is unclear whether Dr. Goodness's review included a determination of whether further neuropsychological testing or investigation was necessary or would be fruitless. Dr. Goodness stated that, in her professional judgment, she could not testify that Woods was not a future danger; but, there is no indication that her review included an evaluation of whether Woods had a neurological or psychological impairment such that it would have altered his past behavior. A copy of Dr. Goodness's report is not in the record. Neither Parr nor Adame's affidavits identify why they chose not to pursue neurological testing or a mental health evaluation despite the fact that trial counsel's billing records show that at one time early in sentencing preparation they phoned a neurological testing facility. If trial counsel's decision to stop this line of investigation was motivated by an opinion or a piece of advice given by Dr. Goodness, counsel's performance would have been the result of reasoned judgment and thus sufficient. However, if the counsel had no reasoned basis to cease this line of investigation, it would have been deficient performance. Given the paucity of information in the state court opinions and the record on counsel's motivations in deciding not to pursue neuropsychological evaluation, we cannot say whether counsel's decision was sufficient or deficient performance. However, even assuming, arguendo, that counsel's performance was deficient, we find that Woods has failed to carry his burden of proving that the alleged deficiency prejudiced his defense. In reweighing the totality of mitigating evidence, including the neuropsychological evidence that the petitioner argues should have been presented to the jury, against the aggravating evidence, we do not find that there is a reasonable probability that the outcome would have been different. See Wiggins, 539 U.S. at 534, 123 S.Ct. 2527. Woods argues that Supreme Court precedent in Cone v. Bell, ––– U.S. ––––, 129 S.Ct. 1769, 173 L.Ed.2d 701 (2009), requires the courts to focus upon the possible effect of the evidence upon each individual juror rather than focus on the jury as a whole. We agree and conduct the prejudice inquiry with the juror-agreement thresholds in mind.FN1 Under Texas state law, there are three special issues that must be addressed before the death penalty can be imposed: (1) after consideration of all the evidence, including evidence of the defendant's background, character, or the circumstances of the offense, that there were sufficient mitigating circumstances to warrant a sentence less than death; (2) whether there is a probability that the defendant would commit criminal acts of violence that would constitute a continuing threat to society; and (3) whether the defendant actually caused the death of the deceased, intended to kill the deceased, or anticipated that human life would be taken. Tex.Code Crim. Proc. art. 37.071 § (2)(b). To return an answer of “no” to the first issue and “yes” to the last two issues, the jury must be unanimous. Tex.Code Crim. Proc. art. 37.071 § (2)(d), (f). Thus, we conduct this prejudice inquiry to see whether the totality of the mitigating evidence, including the neuropsychological evidence, reweighed against the aggravating evidence would be sufficient to persuade one or more jurors to vote “no” on each of these special issues. FN1. In Cone, the jury was statutorily required to consider whether Cone's “ ‘capacity ... to appreciate the wrongfulness of his conduct or to conform his conduct to the requirements of the law was substantially impaired as a result of mental disease or defect or intoxication which was insufficient to establish a defense to the crime but which substantially affected his judgment.’ ” Cone, 129 S.Ct. at 1786 (citing Tenn.Code. Ann. § 39–2–203(j)(8) (1982) (repealed)). Under Tennessee law, the imposition of the death penalty required a unanimous finding by the jury that the state had proved beyond a reasonable doubt that there was at least one statutory aggravating circumstance not outweighed by the mitigating evidence. Bell v. Cone, 535 U.S. 685, 691, 122 S.Ct. 1843, 152 L.Ed.2d 914 (2002) (citing Tenn.Code. Ann. § 2–204 (1982) (repealed)). The Supreme Court, therefore, found that the district court and the Sixth Circuit did not fully consider whether the suppressed evidence might have persuaded one or more jurors that Cone's drug addiction attributable to honorable military service was sufficiently serious to justify a punishment of life imprisonment. Cone, 129 S.Ct. at 1786. The mitigation evidence that the petitioner argues should have been investigated and introduced is that (1) his drug addiction may have had short-term and long-term effects on his brain chemistry, affecting his behavior and cognition; (2) his drug abuse may have exacerbated his already imbalanced nervous system from his bipolar disorder; and (3) his polysubstance addiction problems, psychological disorders, and resulting behavioral problems may have resulted from genetic factors.FN2 Certainly, this type of information could have been mitigating if true. See, e.g., Porter v. McCollum, ––– U.S. ––––, 130 S.Ct. 447, 454, 175 L.Ed.2d 398 (2009) (finding that evidence of poor mental health or mental impairment, in addition to other mitigating evidence, could influence a jury's appraisal of defendant's moral culpability); see also Penry v. Lynaugh, 492 U.S. 302, 319, 109 S.Ct. 2934, 106 L.Ed.2d 256 (1989) (“[E]vidence about defendant's background and character is relevant because of the belief ... that defendants who commit criminal acts that are attributable to ... emotional or mental problems ... may be less culpable than defendants who have no such excuse.”), abrogated on other grounds by Atkins v. Virginia, 536 U.S. 304, 122 S.Ct. 2242, 153 L.Ed.2d 335 (2002). This evidence would have been in addition to the mitigating testimony given by Robin Neely, who described Woods's turbulent upbringing. FN2. This expert opinion was provided by Dr. Paula Lundberg–Love, a licensed professional counselor and psychological associate in the state of Texas. Dr. Lundberg Love reviewed the testimony during the punishment phase and the materials collected by Woods's post-conviction team. FN3. Woods's trial counsel, Adame, acknowledges a very similar line of reasoning when he discusses another potential line of mitigation testimony he had considered. Based on Woods's statements to him that he had been awake for fourteen days and high on methamphetamines and a cocktail of other drugs when the murders of Whitehead and Brosz occurred, Adame considered having Woods testify to the fact that he was not in his right mind when the murders occurred. Adame stated that Woods refused to testify, thereby preventing consideration of this mitigation strategy. However, Adame added that though this evidence would have been mitigating, it also “could certainly be used against [Woods] to prove future dangerousness, since anyone who could get that high and kill two people must certainly be considered a future danger.” Adame Aff., Post Conviction Habeas Corpus R. at 572. FN4. In his closing statement during the punishment-determination hearing, Adame stated that Woods was no longer a future danger since he (1) no longer had access to drugs; (2) was incarcerated with no freedom; and (3) was disciplined by the jury when it convicted him of capital murder. Adame argued that the conviction was a turning point and that Woods no longer posed a probability of being a continuing threat. Additionally, the aggravating evidence presented by the prosecution was great. The government sought to prove a probability of future dangerous by presenting evidence that Woods had been involved in the murder of another victim and potentially considered murdering another woman, planned to rob a clothing store, made bombs in the past, and got into a fight with another inmate in the Denton County Jail. The prosecution also presented testimony from the victims' families to demonstrate the impact the murders had on their families, and testimony from a nurse who graphically described the nature of Brosz's injuries, including the fact that Brosz's mother saw her “daughter's brains coming out from underneath the dressing....” Trial. Tr. vol. 24, 77, August 19, 2002. Given the great amount of aggravating evidence and the double-edged nature of the neuropsychological evidence, we do not find that Woods has demonstrated that there was a reasonable probability that the outcome would have been different had the evidence been investigated and introduced. Thus, we cannot find the state trial court's decision not to grant habeas relief for the ineffective-assistance-of-counsel claim objectively unreasonable. Accordingly, habeas relief cannot be granted on this claim. Woods argues that the district court erred in denying his motion for an evidentiary hearing because (1) the state court fact-finding process, with its reliance solely on affidavits and trial testimony rather than an evidentiary hearing, was procedurally unreasonable such that it did not comport with minimal due process requirements, and (2) apart from the procedural due process requirements, there are too many unresolved factual conflicts, inconsistencies, and unexamined issues in conflicting affidavits such that the findings and resulting conclusions of law are themselves substantively unreasonable. We disagree. Under AEDPA, requests for evidentiary hearings are to be evaluated under the provisions of subsection 28 U.S.C. § 2254(e)(2). Where the habeas petitioner has failed to develop the factual basis of his claim due to his lack of diligence, he is only entitled to an evidentiary hearing if the applicant can show (1) that his claim relies on “a new rule of constitutional law, made retroactive to cases on collateral review by the Supreme Court, that was previously unavailable” or “a factual predicate that could not have been previously discovered through the exercise of due diligence,” and (2) the facts underlying the claim are “sufficient to establish by clear and convincing evidence that but for constitutional error, no reasonable fact finder would have found the applicant guilty of the underlying offense.” 28 U.S.C. § 2254(e)(2). These exceptions, however, are only applicable when the failure to develop the factual basis is a result of the petitioner's lack of diligence. Murphy v. Johnson, 205 F.3d 809, 815 (5th Cir.2000); McDonald v. Johnson, 139 F.3d 1056, 1059 (5th Cir.1998). Where the failure to develop the factual basis of the claim in state court is not due to the petitioner's actions, the district court retains discretion over the decision to grant an evidentiary hearing. Murphy, 205 F.3d at 815; McDonald, 139 F.3d at 1059–60. In such cases, we review a district court's denial of an evidentiary hearing for abuse of discretion. Murphy, 205 F.3d at 815. The government argues that Woods is not entitled to an evidentiary hearing under § 2254(e)(2) because Woods cannot demonstrate he was diligent in his attempt to investigate and pursue his claims in state court. Woods, however, notes that the failure to develop the factual basis of his claims in state court was not his own, but rather the result of the state courts denying him an evidentiary hearing. We agree with Woods, and thus review the district court's denial of an evidentiary hearing for an abuse of discretion. Both before AEDPA and after, we have consistently held that “when there is a factual dispute which if resolved in the petitioner's favor, would entitle the petitioner to relief and the state has not afforded the petitioner a full and fair hearing, a federal habeas corpus petitioner is entitled to discovery and an evidentiary hearing.” Murphy, 205 F.3d at 815 (quoting Perillo v. Johnson, 79 F.3d 441, 444 (5th Cir.1996)) (internal quotation and alteration omitted); see also Moawad v. Anderson, 143 F.3d 942, 947–48 (5th Cir.1998); Ward v. Whitley, 21 F.3d 1355, 1367 (5th Cir.1994). Thus, to find an abuse of discretion that would entitle Woods to an evidentiary hearing, “we must find that the state did not provide him with a full and fair hearing and we must be convinced that if proven true, his allegations would entitle him to relief.” FN5 Murphy, 205 F.3d at 816 (citation omitted) (emphasis added). FN5. This opinion does not in any way invalidate or modify the precedent set forth in Valdez v. Cockrell, 274 F.3d 941 (5th Cir.2001). In that case, this Court held that a full and fair hearing was not a precondition to according a presumption of correctness to state habeas court findings of fact. Id. at 950–51. This precedent still stands. We merely state here that in circumstances not barred by § 2254(e)(2), a defendant is entitled to an evidentiary hearing to determine whether the state court reached an unreasonable determination under § 2254 where (1) the state court proceedings were less than full and fair, and (2) where the defendant has made allegations that would entitle him to relief. Thus, for a finding that a district court abused its discretion in denying an evidentiary hearing, the petitioner must prove both prongs. Woods argues that the district court should have granted him an evidentiary hearing since the state court fact-finding process was procedurally defective because it relied only on paper records rather than a full trial-like hearing on the factual issues underlying his claim. Woods argues that without “direct testimony by witnesses, subject to cross-examination in order to resolve inconsistencies and ambiguities of their testimony, the state habeas court was not in a position to make reliable determinations of the relevant facts to the claim.” He further argues that since the fact-finding procedures were “inherently unreliable,” the state courts' conclusions of law were rendered unreasonable. Thus, he argues that the district court's reliance on the state findings of fact and conclusions of law made its decision to deny habeas corpus an unreasonable application of precedent. We disagree with Woods's assertion that he did not receive a full and fair hearing in the state habeas proceedings. Before and after AEDPA, this Court has “repeatedly found that a paper hearing is sufficient to afford a petitioner a full and fair hearing on the factual issues underlying his claims, especially where as here, the trial court and the state habeas court were one and the same.” Murphy, 205 F.3d at 816 (citing Perillo, 79 F.3d at 446–47 (listing cases where presumption of correctness was established with only a paper hearing before the same state judge who presided over the criminal trial)) (emphasis added); see also Galvan v. Cockrell, 293 F.3d 760, 764 (5th Cir.2002). Here, the state court judge who considered Woods's application for state habeas relief had also served as the trial judge over both the innocence—guilt phase and the punishment phase of Woods's trial. He was familiar with the parties, counsel, and the evidence presented at trial; thus he was uniquely qualified to make a credibility determination as to the veracity of the trial counsel's affidavits. Additionally, he and the CCA had the defendant's application, the state's response, and several hundred pages of affidavits, record evidence, and exhibits that had been filed in support and opposition to Woods's claims for review. Given the state trial judge's familiarity with the parties, their arguments, and the evidence, we cannot say that Woods did not receive a full and fair hearing in the state habeas proceedings. Thus, we find that the district court did not abuse its discretion in denying Woods an evidentiary hearing.